Our final stop in Southeast Asia is Taman Negara National Park, the oldest and largest national park in Peninsular Malaysia. Less than four hours from Kuala Lumpur, the park is one of Malaysia’s last strongholds of tigers, leopards, elephants, and tapirs. 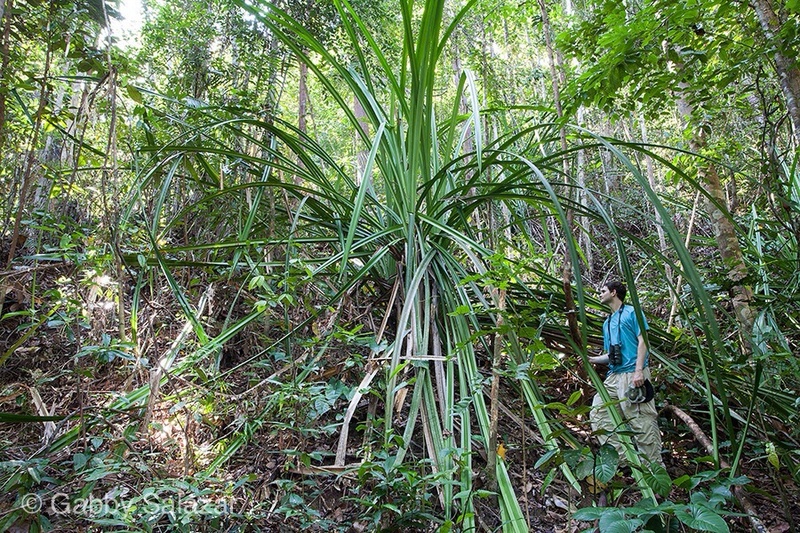 Despite the potential for dangerous encounters, tourists are free to roam around the park, using the long trails to explore the lowland rainforest. 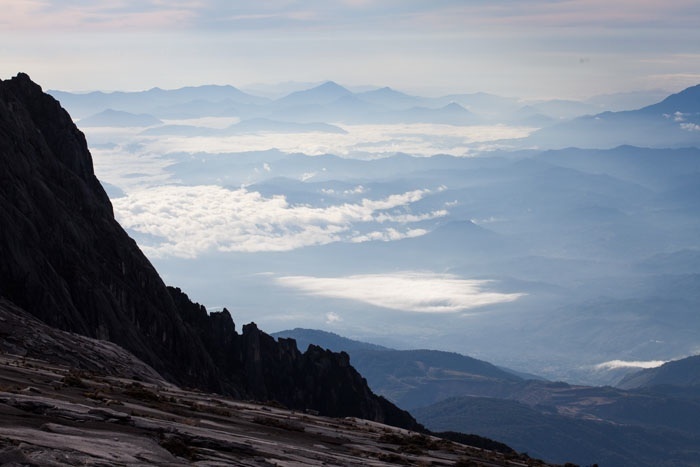 A guide is only required for the park’s far corners and for climbing Gunung Tahan, the highest mountain in the park and in Peninsular Malaysia. 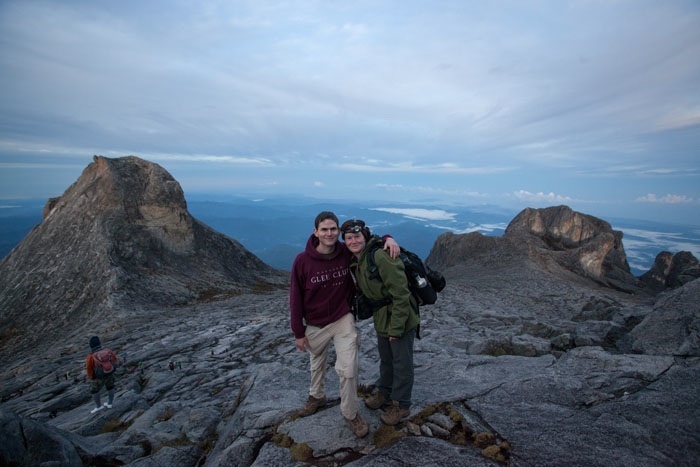 Having done plenty of trekking, climbing, and camping over the past few months, we decided to skip Gunung Tahan and to take it easy around park headquarters. We rented a small chalet in the park and can pop out at a moment’s notice to see birds or other creatures that roam around the forest edge. From our porch, we can see black-and-red broadbills and hear reddish scops owl calling late into the night. On our first night in the park, we realized that it is unnecessary to go very far to see wildlife. Sitting in the restaurant, we watched as a palm civet stalked around the lawn. Moments later, we realized that a Malaysian tapir was taking a nap in the landscaped flowers nearby. The tapir, rescued as a baby and released in the park, frequents the hotel on a search for food. On two occasions, it has even tried to enter the restaurant. 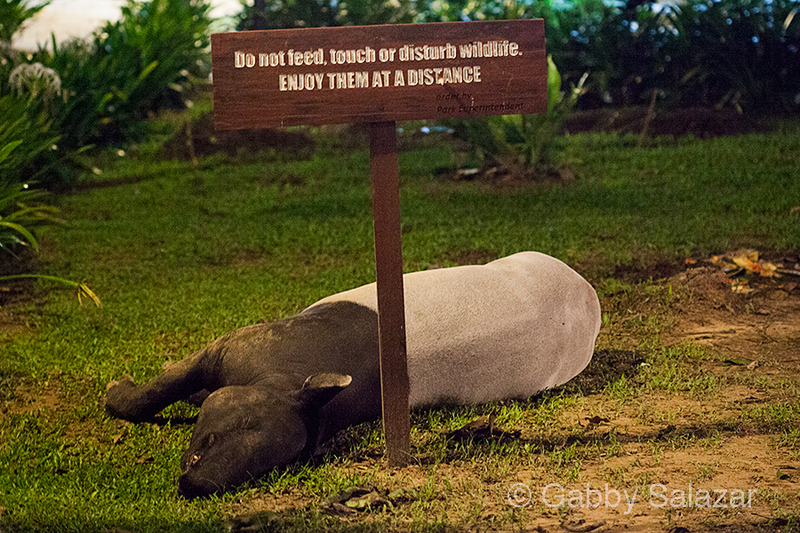 Malaysian tapir sleeping under an appropriate sign. We have been here three days already and have barely made it past the boardwalks, finding so much within minutes of our cabin. Yesterday, we walked down to the swamp loop where Rick immediately spotted a large green snake, coiled beautifully in a bush. A red-tailed green racer, the snake was non-venomous, but large enough to strike if we got too close. For an hour, we photographed it and observed it, amazed by the number of people who passed by without seeming to notice or care. 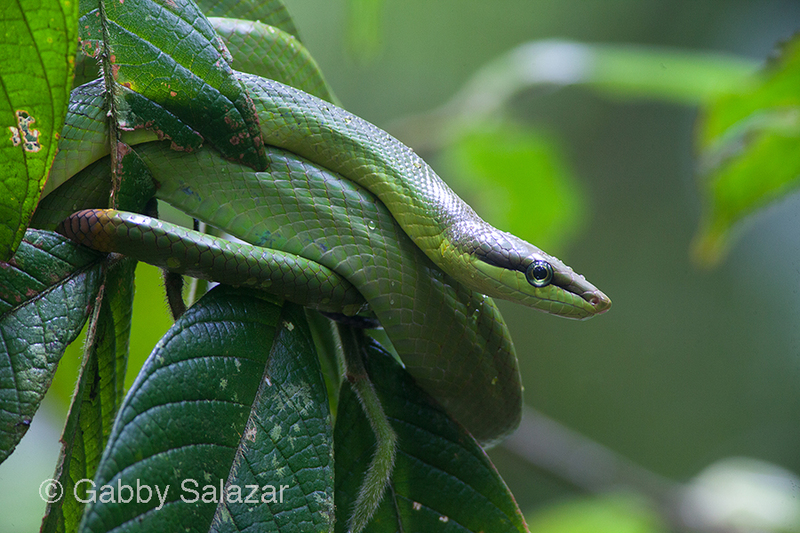 Red-tailed green racer, Taman Negara National Park, Malaysia. On another evening, we went for a hike, and only made it 150 feet down the trail before we saw a blue-eyed angle headed lizard on a tree trunk. Although we have seen the species before, we had never seen one so large and with spikes entirely down the length of its back. The sapphire-colored eye stayed on us the entire time, but the lizard barely moved. 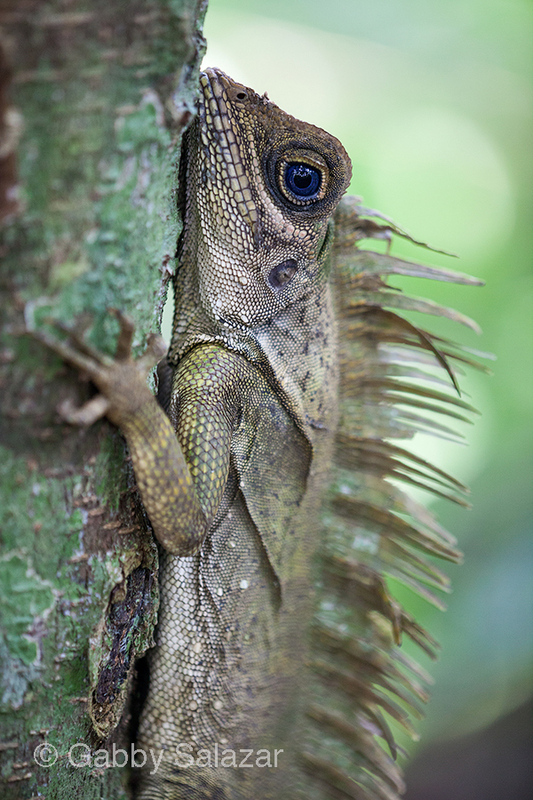 Blue-eyed angle head lizard, Taman Negara National Park, Malaysia. 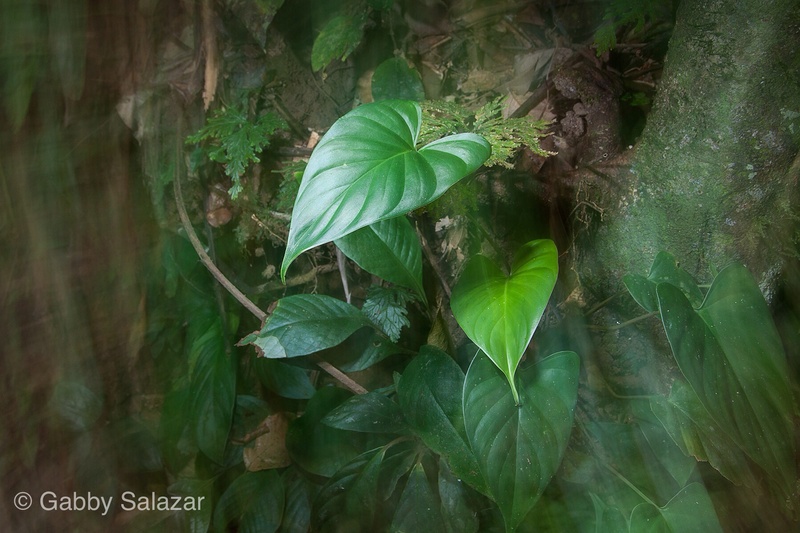 When you do make it out of the area around park headquarters, you get what I would call “a real jungle experience.” Outside of the deep Amazon and the heart of Borneo, there are few places I have been that feel quite so wild. This morning we took a boat upriver for 40 minutes to explore a different part of the park. The forest there was thick with vines and massive trees towered overhead. Elephant dung littered the trails, comfortingly old enough to have sprouted mushrooms. We were looking for some of the elusive ground birds that call this park home – the Malaysian Peacock Pheasant and the brilliantly coloured hooded pitta. We did not turn up any of those species, but we did find a large wren babbler, a small marbled bird that stays hidden in the understory. 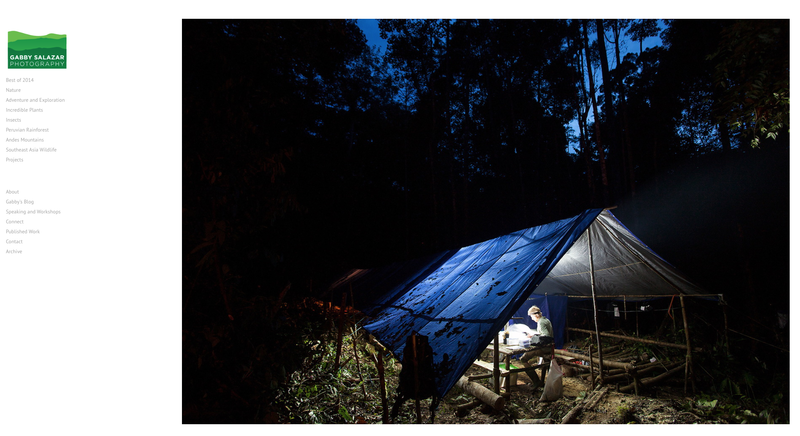 A little ways down the trail, I was startled by the sudden appearance of two men, members of the indigenous Orang Asli tribe that still inhabits the park. Shirtless and rugged, they nodded to us as they passed by, blowpipes resting confidently on their shoulders. On our walk back to the boat, we even spotted a cat print, probably that of a leopard cat or another small species. We also heard a low bellow and splashing from the river – Rick thinks it may have been a gaur, a wild cow that inhabits the jungles here. We chose not to investigate, thinking it best to give large, unidentified animals their distance. It was a reminder of the potential for other encounters and I shuddered to think about meeting a tiger while on foot. 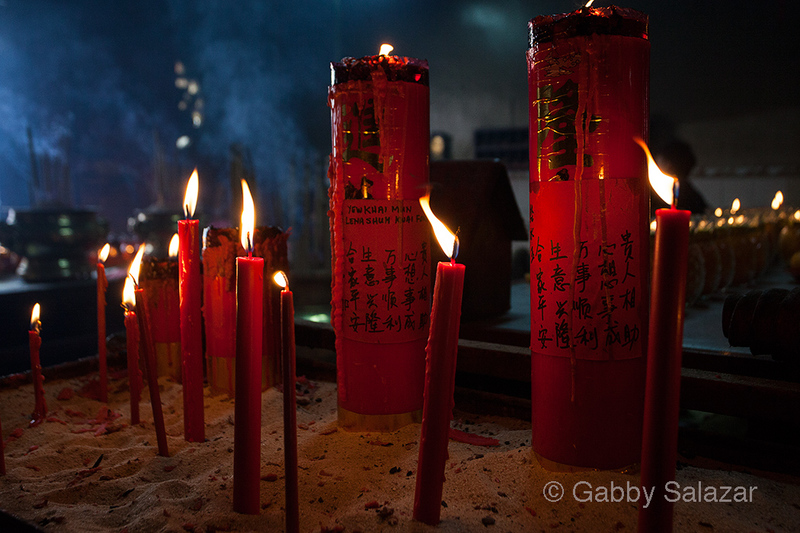 As in every place we have visited in Southeast Asia, there are very few Americans. We have befriended an older British couple, sharing our sightings each evening at dinner. Our stories are greeted with exclamations of “Jolly good!”, “Splendid!,” and “Capital!” There are also a lot of local visitors, and the staff of the hotel are very helpful. One of the managers also has an interest in birds and he frequently appears out of nowhere, motioning to us to follow him. He has shown us the nest of black-and-yellow broadbill and a fruiting tree filled with colourful pigeons. 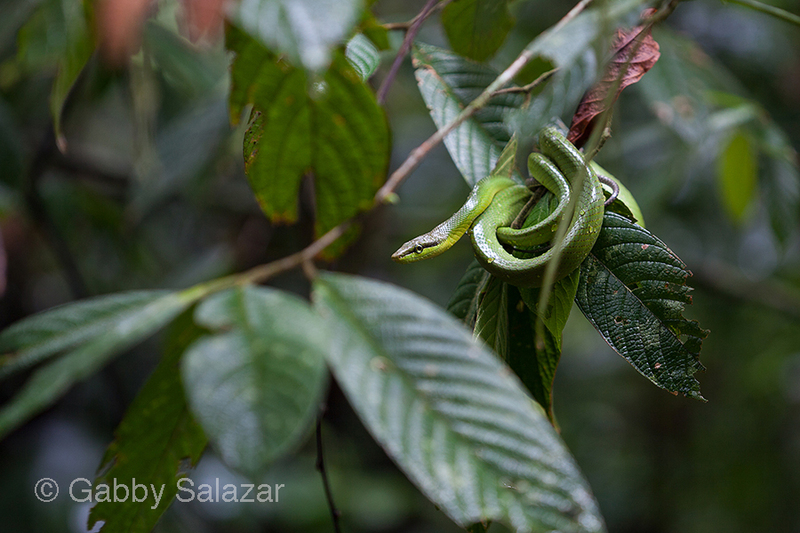 Yesterday, he showed us a picture of a paradise tree snake, one of the gliding snakes that lives in park. It had glided out of a tree and landed right in front of a French couple. He had been attracted to it by their loud screams. Rick and I were both very sorry to have missed the snake and the commotion. My plan for this afternoon was to walk the perimeter of park headquarters, looking for lizards and snakes. I had just rolled my socks up over my pant legs – a deterrent to leeches – when a clap of thunder reverberated overhead. The wind began to blow and the rain started to pour down in a heavy sheet within minutes. So, instead of exploring, I am sitting inside, watching the wet jungle from my window. 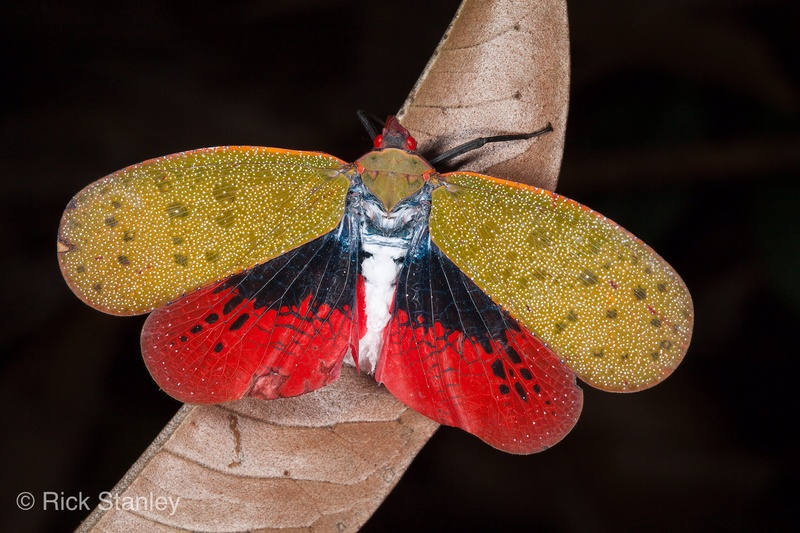 Tomorrow I will resume my search for the denizen of the rainforest, followed, no doubt, by a slightly larger cloud of mosquitoes. 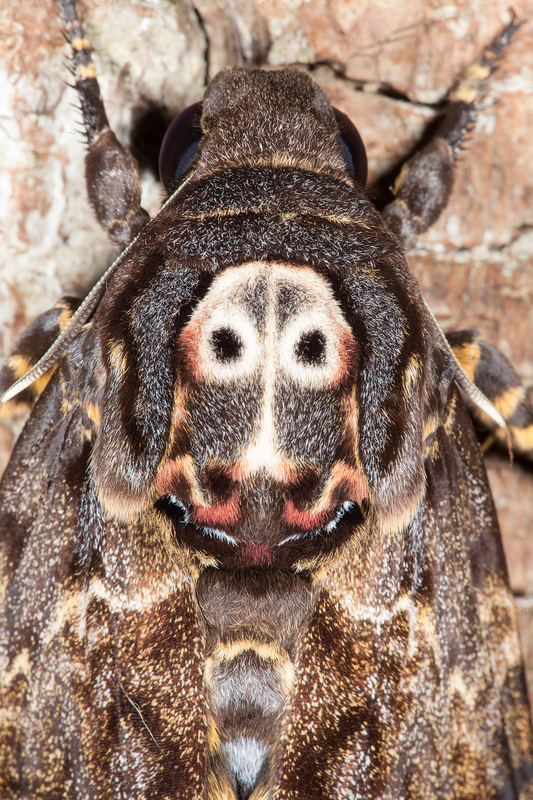 Death’s-head hawk moth, Taman Negara National Park, Malaysia. 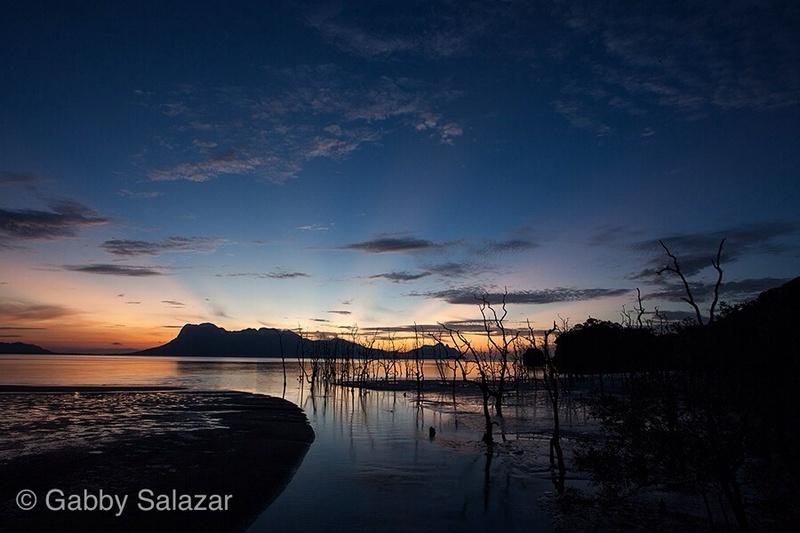 Bako National Park, the most popular park in the State of Sarawak, is one of the easiest places to see mammals in Borneo. 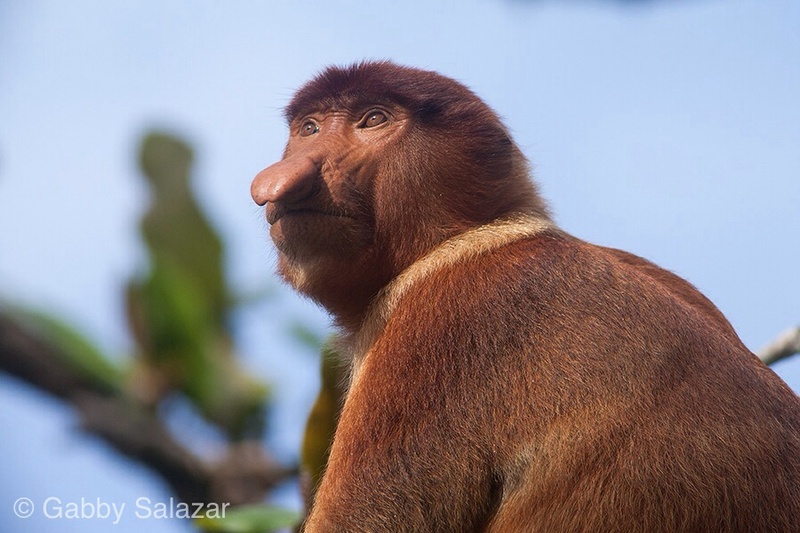 Home to endangered proboscis monkeys, flying lemurs, and bearded pigs, it is a great place to see a lot of animals in a short time. 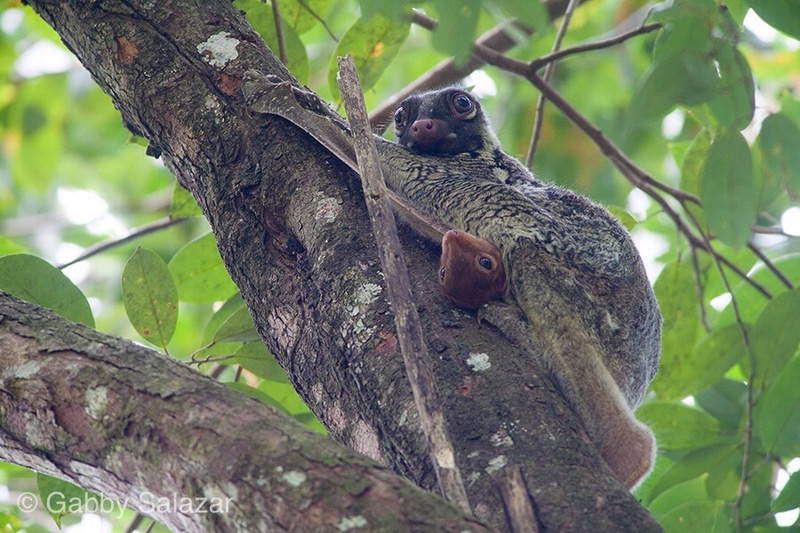 Since our mammal sightings in Borneo have been rare – gibbons in the tree tops, the backside of porcupines, and the eye shine of civets – we decided to spend five nights at the park. This turned out to be a great decision and our enthusiasm for the park was only slightly dampened by the 95 degree weather and the 100% humidity. To get to Bako, we took a quick taxi ride and then a 30-minute boat ride out to the park headquarters. 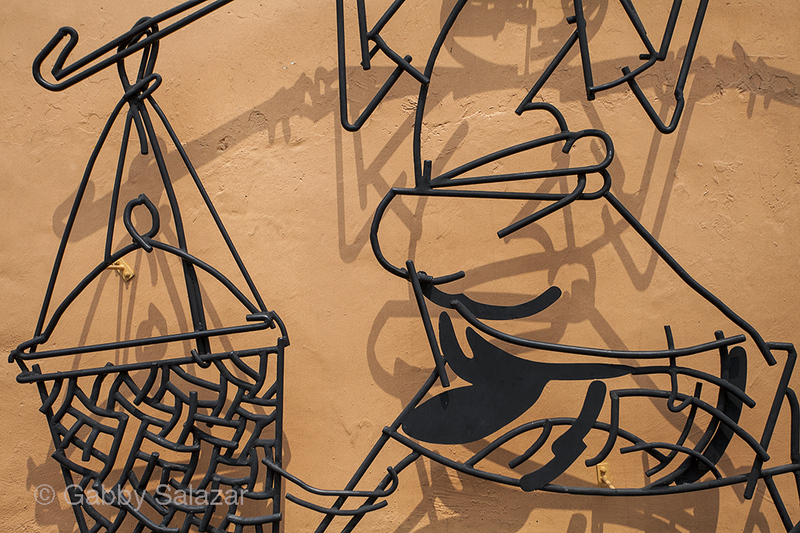 Built on a beach, the park has a number of hostels and lodges and is surrounded by a great system of hiking trails. We stayed in a nice private room for around $25.00 per night and ate in the canteen provided by the park. Although the trails are extensive, we did not have to go far to see wildlife. In fact, we had most of our best sightings immediately around the park headquarters. Each evening between 3pm and 6pm, a group of proboscis monkeys would sit in the trees near the canteen, munching on leaves and taking naps. 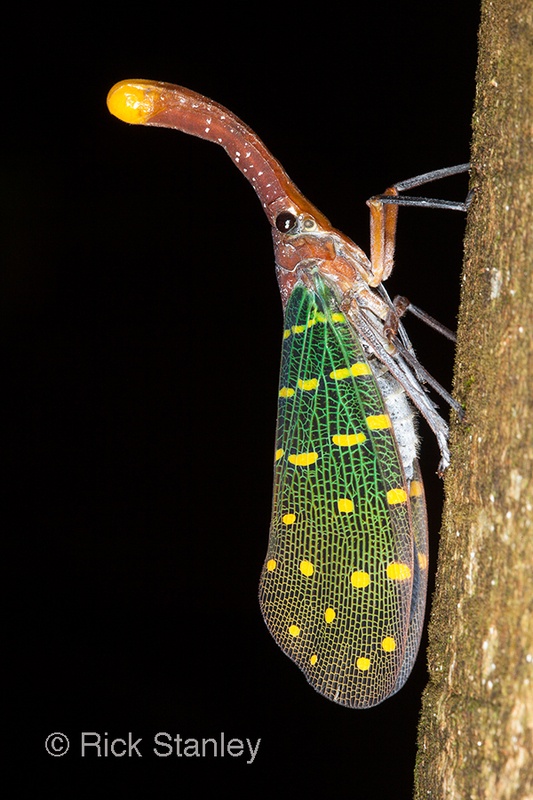 After they had their fill, they would leap over our heads, swinging off to other trees for the night. The beautiful silvered langurs also stayed near park headquarters, their sleek silvery fur offset by the red fur of their young. On our first night, while distractedly making a cell phone call, I was even interrupted by a giant bearded pig. He was ambling up behind me when Rick pointed at him, looking both amused and alarmed. 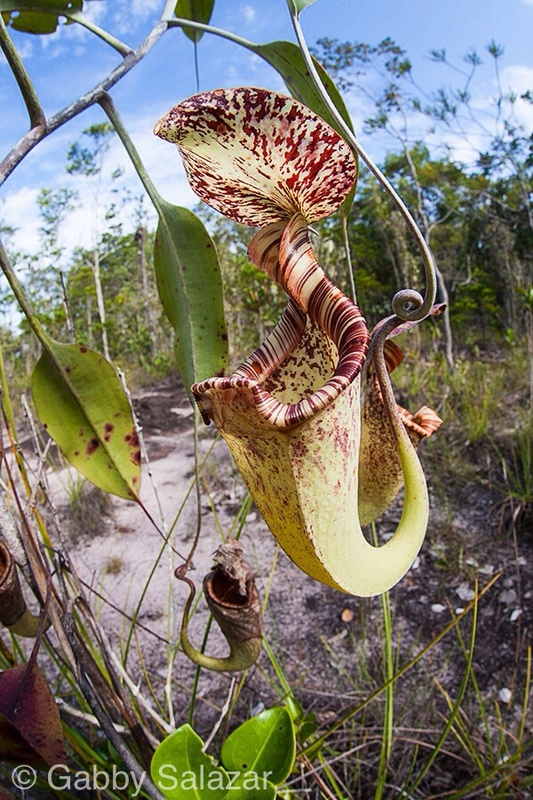 Bako is also home to at least six species of pitcher plants (Nepenthes), which were often found in the most open and muggy areas. The main loop hike took us up a steep hill, which was covered in stunted trees, shrubs and bare rock. 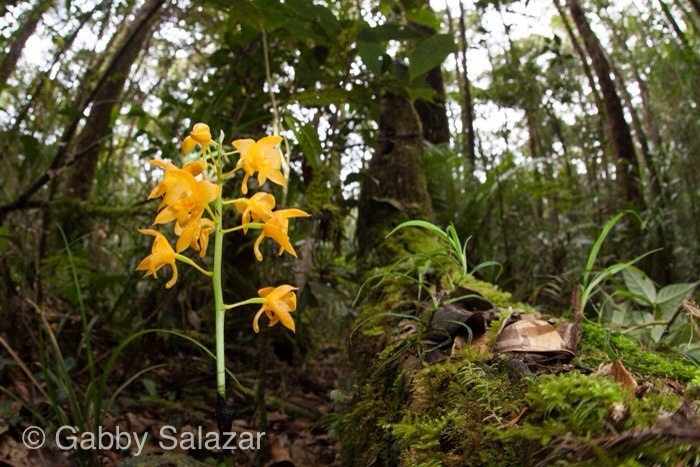 It was there that I found wild orchids in bloom and four varieties of wild pitchers. 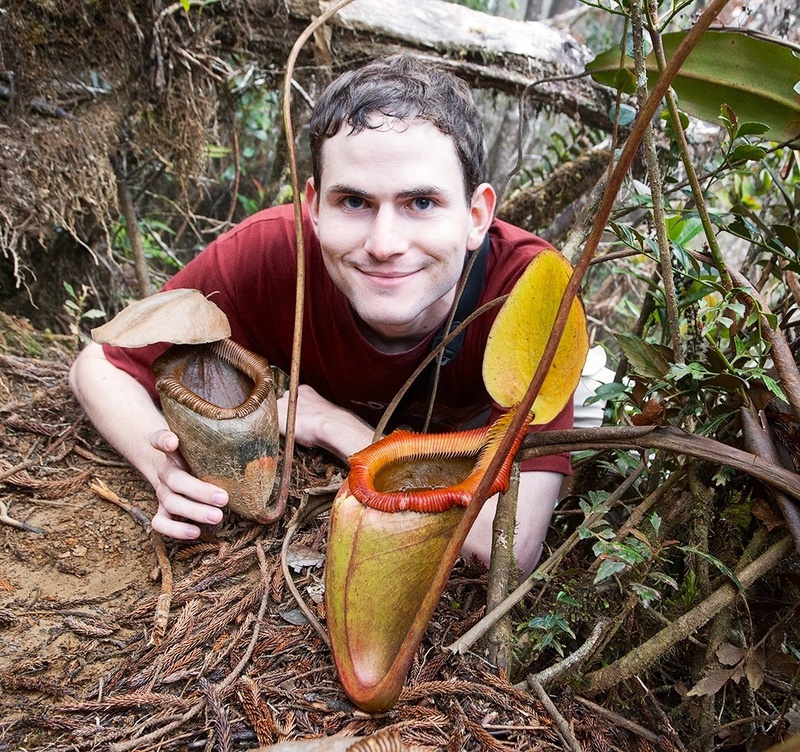 One afternoon, I hiked up alone and spent an hour photographing Nepenthes rafflesiana – my favourite species. 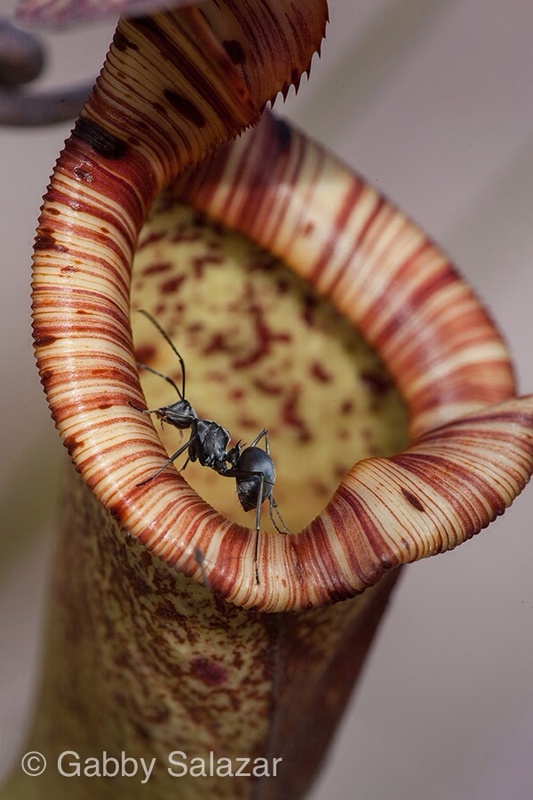 I watched closely as large drummer ants balanced precariously on the lip and lid of the pitcher, foraging for nectar. 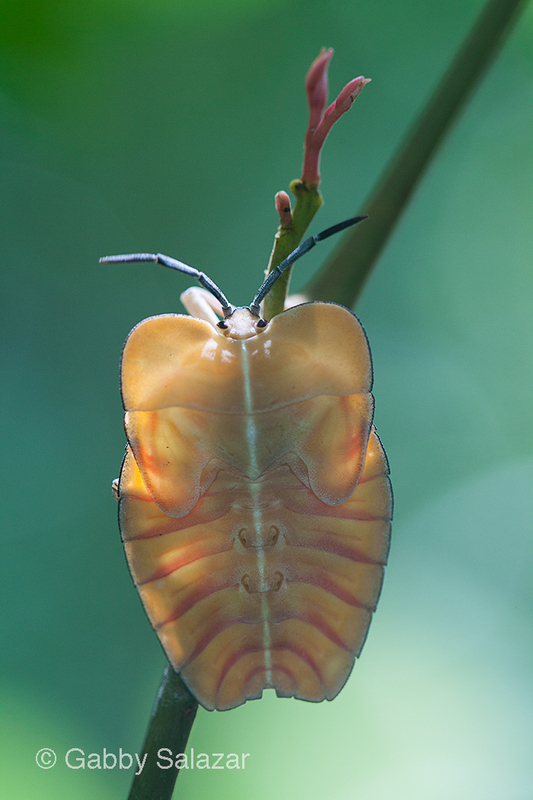 When disturbed, they would drum their abdomens against the plant. 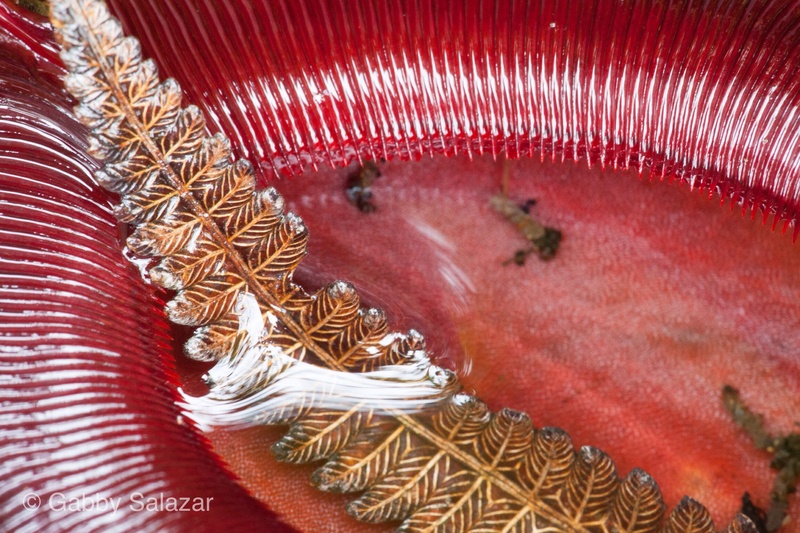 Despite their wild movements, they managed to eat without falling into the watery and toxic mix of juices below. 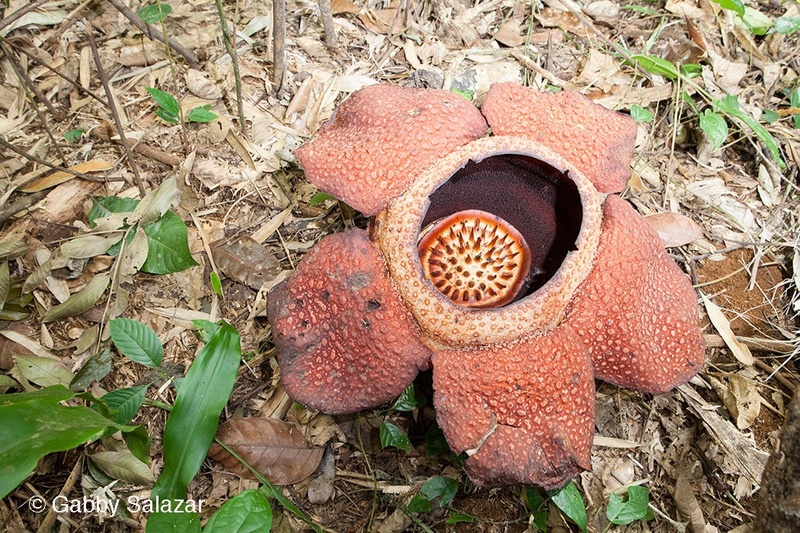 Interestingly, a common name for these plants is “monkey cups” since they were once believed to be the goblets of thirsty monkeys. Although there were lots of monkeys and lots of pitchers, we never saw the two interact. At Bako, we also spent hours looking for vipers (to no avail) and went birdwatching on the trails. One night we chased the sound of a hooting bird up and down the beach until we caught a brief glimpse of the buffy fish owl. Another day I observed the display of an eager male olive-backed sunbird as he courted an uninterested female. Puffing up his little chest, he hopped back and forth, chittering in an agitated manner and flashing her with the iridescent blue on his throat. One of my favourite sightings of the trip was a pink bridal veil fungus (Phallus multicolor) that we found in a very fresh state. 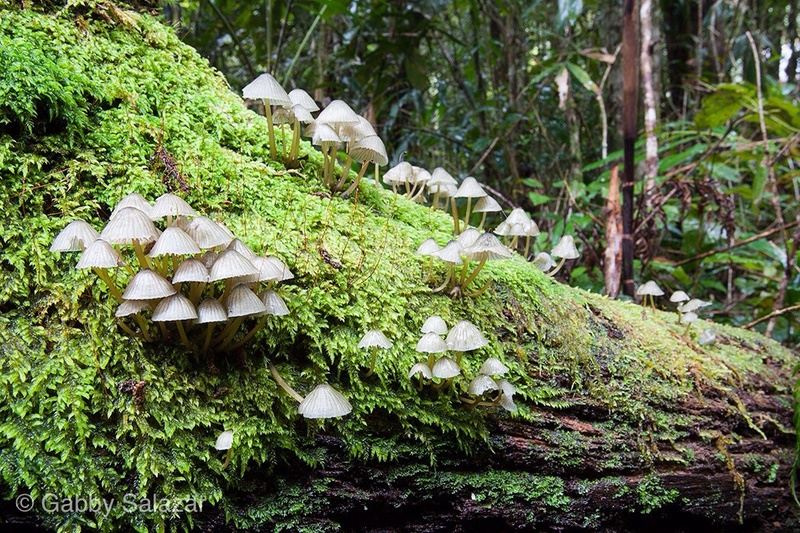 These mushrooms grow and deteriorate in less than a day. 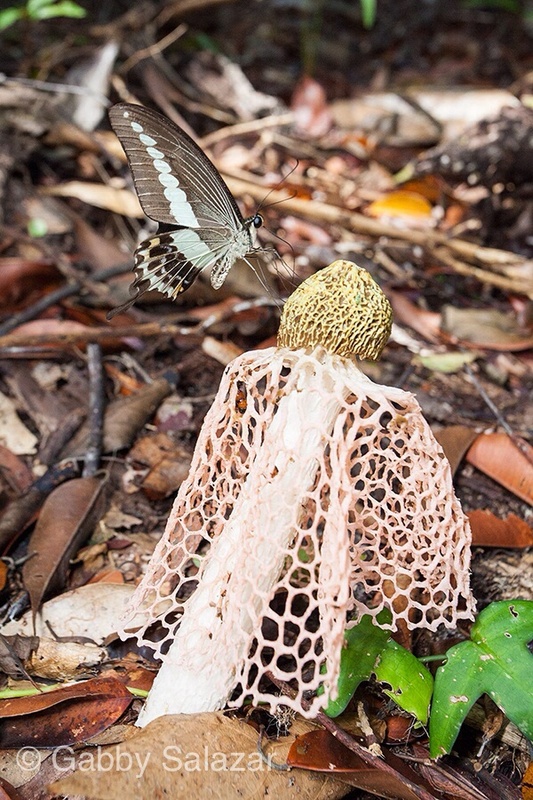 While taking photos, a butterfly just happened to land on the top, coming back and forth to feed on the slime-coated cap. For me, the only bad part of Bako was the bands of long-tailed macaques. Unlike the amusing proboscis monkeys or the shy langurs, the macaques are both aggressive and cunning. One day I walked down toward the canteen with a bag of almonds tucked into the side of my backpack. A corner of the package was poking out and this was enough to provoke three macaques to pursue me. I was actually jumped by monkeys. With one barking at me from the front and two actually hanging on to my backpack, I was soon relieved of my almonds and, unfortunately, my audio recorder. After they figured out that the audio recorder was not edible, it was dropped, unharmed, on the ground. The almonds however were quickly consumed and created some tension among the pack (quite understandably – they were honey roasted). 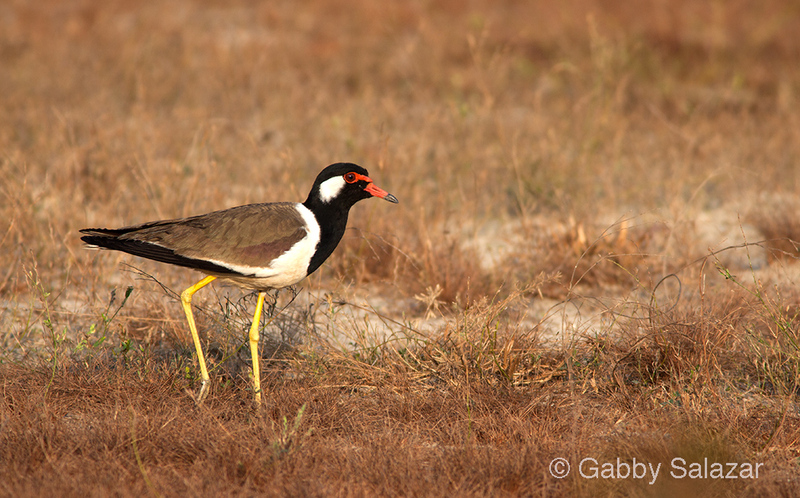 I would recommend Bako as a destination to anyone interested in wildlife or in botany. We only explored a small part of the park and we still saw an impressive number of creatures. 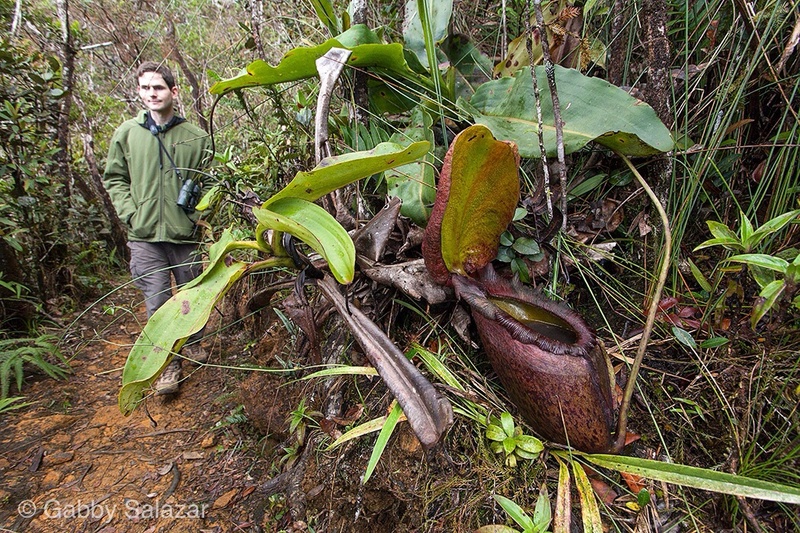 Borneo continues to amaze me – the landscapes are so varied that I would need a lifetime to truly explore this place. After our wild adventure in Indonesian Borneo, we were not quite sure what to expect from the Malaysian side of the island. In Indonesian Borneo, tourists were rare enough that we had our photos taken by gas station attendants and passersby. 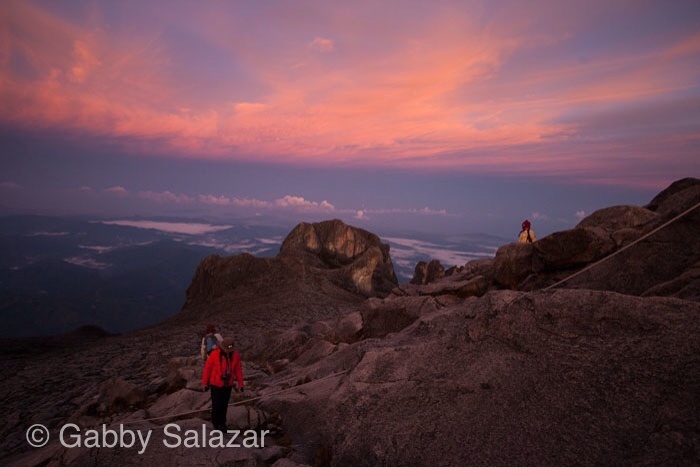 In contrast, Sabah and Sarawak – the two Malaysian States in Borneo – are swarming with tourists from all over the world. For the last month we have been traveling through the famous national parks here, from Kinabalu in Sabah to Gunung Mulu, Kubah, and Bako in Sarawak. 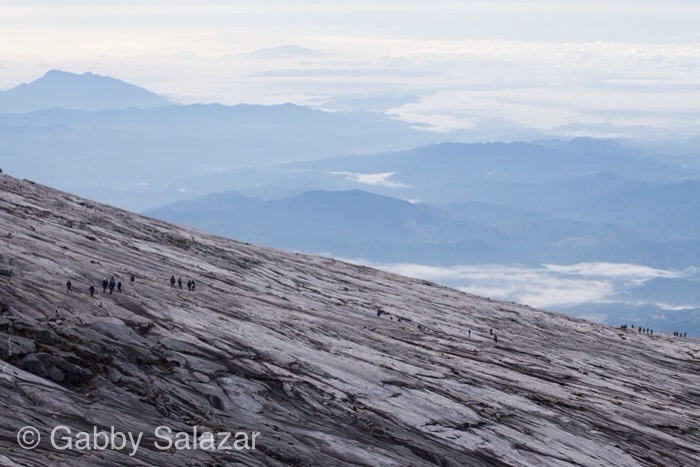 After leaving Kinabalu, we flew to the city of Miri in Sarawak and then on to the small town of Mulu. The travel day was noteworthy. First, we discovered stores in the airport of Kota Kinabalu that sold dried and frozen fish. These were located both in and out of security and you could have your purchase wrapped up as carryon luggage. It was the first time my laptop has gone through the security scanner between a block of frozen prawns and a whole fish. The flight also got progressively smellier as the items began to thaw. 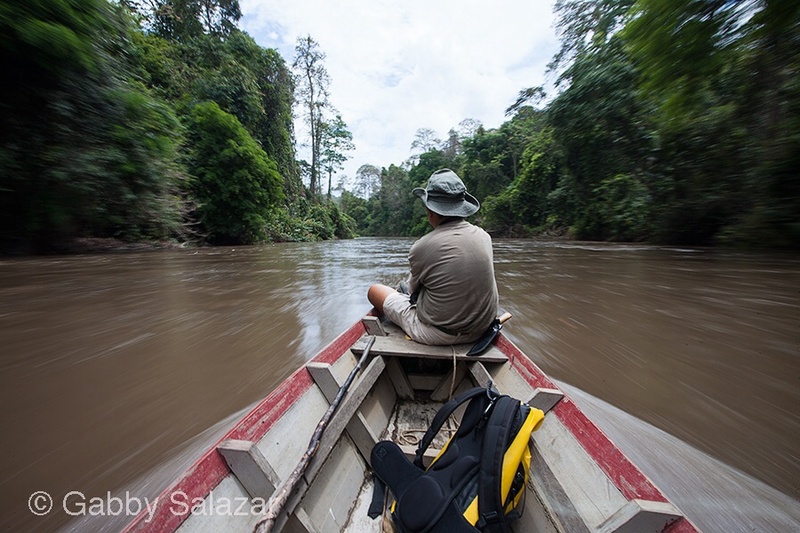 Getting to Gunung Mulu National Park was relatively easy, but it was certainly out of the way. The airport consists of a tiny runway and one gate and the national park is the only destination there. As we landed, flying over the giant mountains and limestone hills of Mulu, we were sure it was worth the effort. 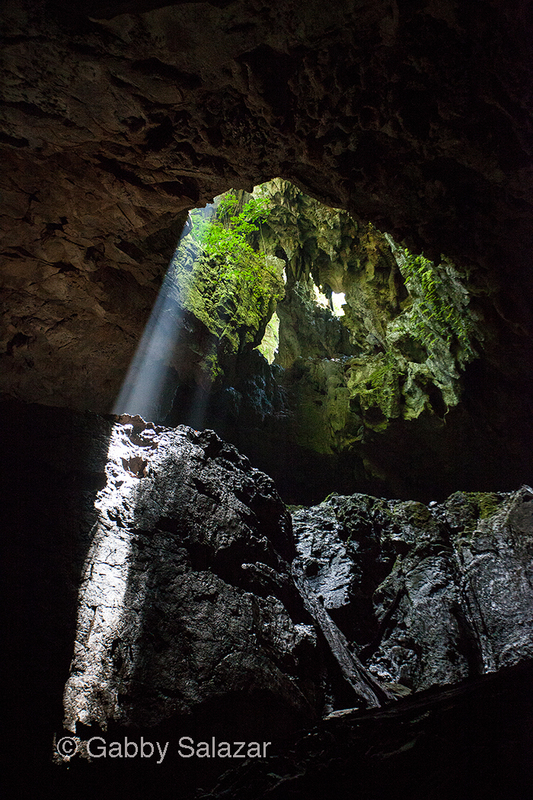 Gunung Mulu is a World Heritage Site and is most famous for its extensive cave formations and for a colony of two to three million bats that lives within Deer Cave, the cave with second largest cave passage in the world. It is easy to sign up for tours of the caves at the well-run park headquarters, where you can opt between a simple hike or a caving adventure. On our first night in the park, we decided to hike down to the bat viewing platform – an open amphitheater that has been built outside of the caves so that tourists can observe the bats coming out to hunt. We arrived a bit too late, having been caught up with insects and birds we found along the way. We did however hear the bats as they flew overhead. What sounded like large gusts of wind turned out to be the wing beats of thousands upon thousands of bats on their way to hunt. Bats in Gunung Mulu National Park, Sarawak, Malaysia. 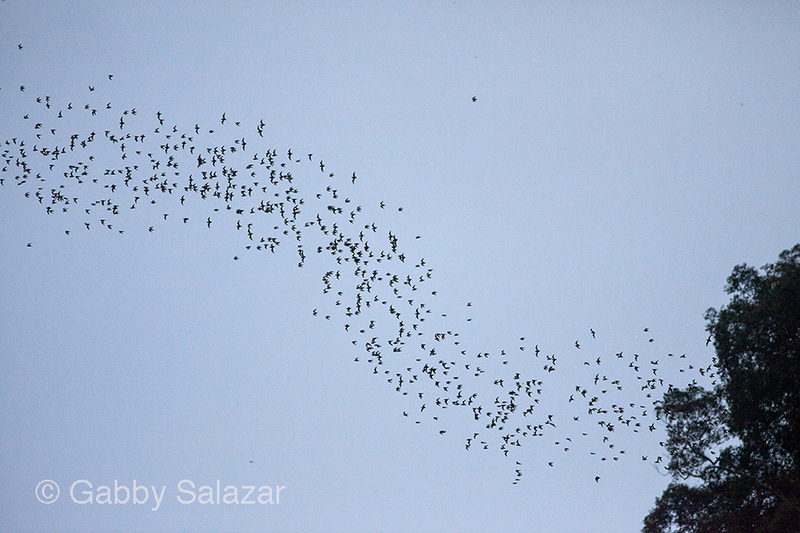 On a good night, it is possible to see hundreds of thousands of bats coming out of the caves in a stream. This incredible sight is referred to as the “bat exodus.” Due to weather, we did not witness the full spectacle until our final evening in the park, a night that made all other viewings pale in comparison. As bats streamed out in a never-ending ribbon, I could only laugh in amazement. 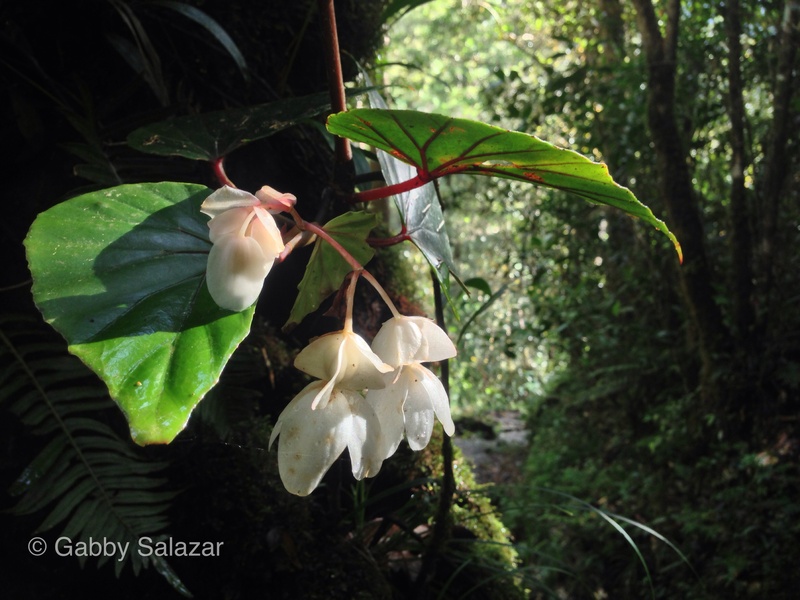 On our other days at Mulu, we hiked the forest trails and went on a few of the cave tours. Some sightings of note included a group of crested fireback pheasants and some spiky forest lizards. 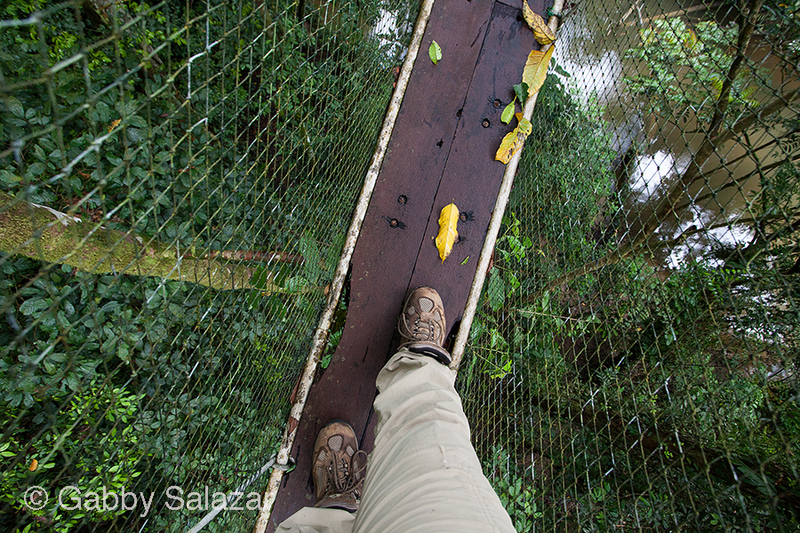 From the canopy walkway – the longest tree-based walkway in the world – we saw shiny sunbirds and resplendent barbets. The caves made me feel like we had gone back in time. 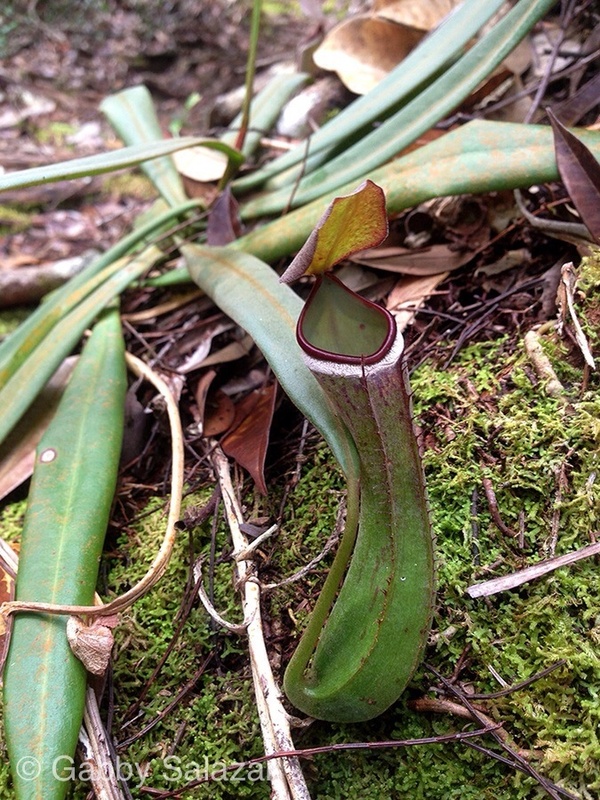 Their enormous mouths were coated in lush vegetation and tree ferns grew in small groves in the shade of their precipices. It would not have surprised me in the slightest if a pterodactyl had flown over or if a a stegosaurus lumbered out of the cave. Inside the caves, we saw impressive formations resembling jellyfish, eagles, and even the profile of Abraham Lincoln. In Clearwater Cave, I stood transfixed as we watched an underground river coursing along the cave’s rocky bottom. Gunung Mulu National Park, Sarawak, Malaysia. What delighted me about Mulu was also the campy atmosphere. Tourists were friendly with one another and many of the people we met were highly interested in natural history. 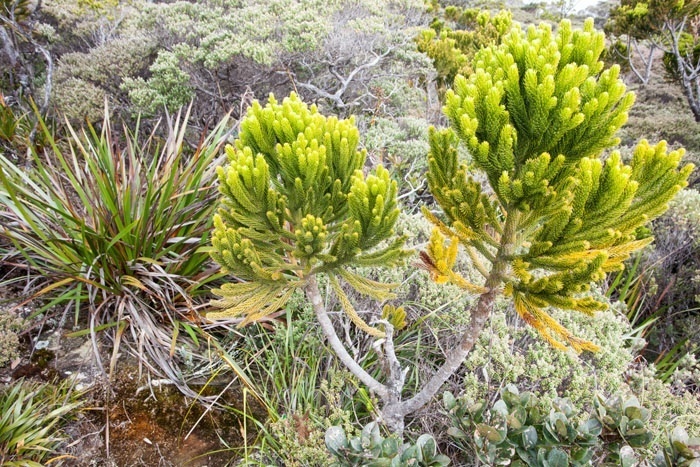 One man had come just to see the endemic plants in the higher reaches of the park. Another man, a biology professor from Oregon, was interested in the whole spectrum of Mulu’s natural wonders. I enjoyed sharing our findings with other enthusiasts and hearing about their sightings. 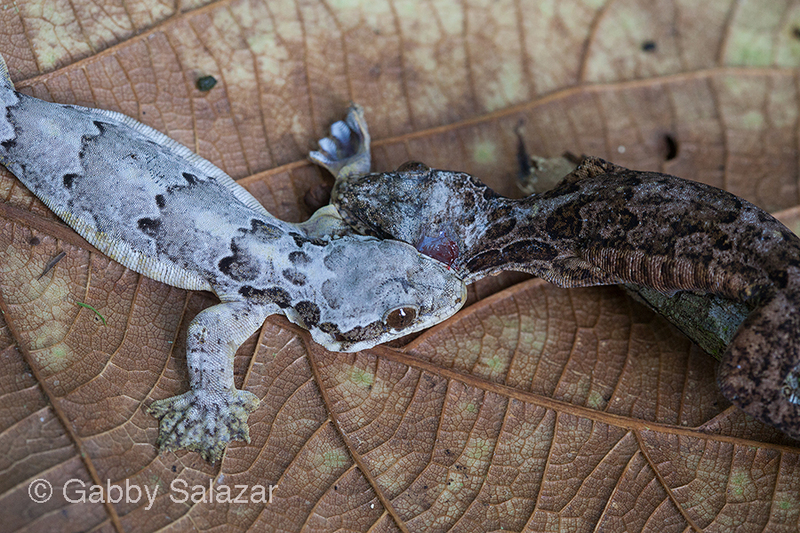 One day, we even came across a Russian couple who had just discovered two gliding geckos engaged in a death struggle. We all kneeled on the ground, observing the two creatures as they stayed locked together – one biting an arm and the other biting an eye. Gunung Mulu turned out to be a highlight of our travels in Borneo. 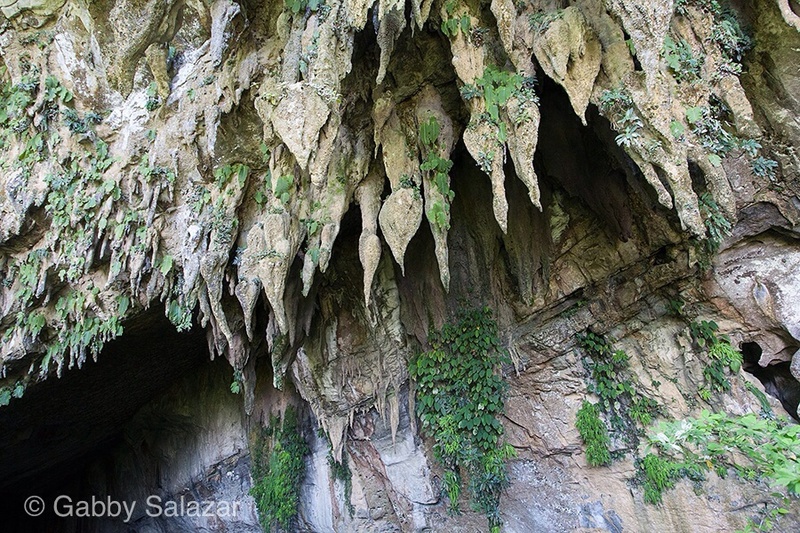 Between the caves, the bats, and the other wildlife, we hardly stopped moving for five days. Our next stop . . . Kubah National Park in Sarawak. The temple of Ta Prohm near dawn. In order to renew our 90-day VISAs to Malaysia, we had to leave the country by mid-April for at least 72-hours. 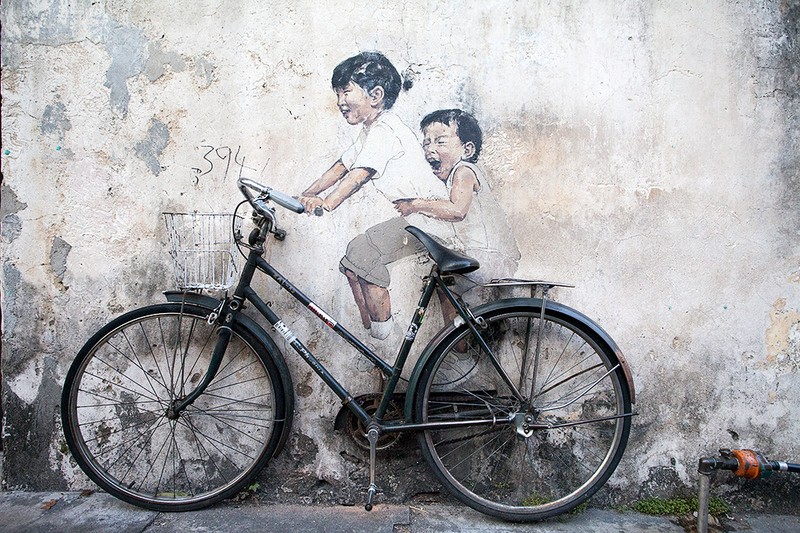 Although it is really expensive to get to Southeast Asia, it is very inexpensive to fly between countries in the region. After much debate, we decided to make a brief trip to Cambodia. 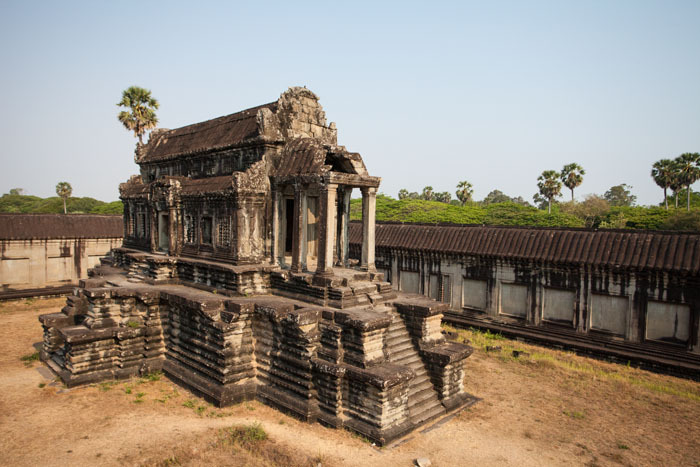 Although we could have gone to Vietnam, Thailand, Indonesia, or Laos, we opted for Cambodia because of its political stability and its unique ecosystems. While much of Indochina used to be covered in grasslands and savannas, very little of this habitat remains intact because of agriculture and development. The Northern Plains of Cambodia are one of the only areas in the region that are still home to these ecosystems and the unique flora and fauna that reside there. We flew into Siem Reap, a city in the Northwest of the country that is famous for the ruins of Angkor Wat, the largest religious complex in the world. Angkor Wat and the surrounding temples are ruins from the Khmer Civilization, which dates from around 8th Century A.D. to the 13th Century A.D. Having lived in Peru, I have spent a lot of time visiting Incan ruins and I can truly say that the Khmer architecture blows Machhu Picchu out of the water. 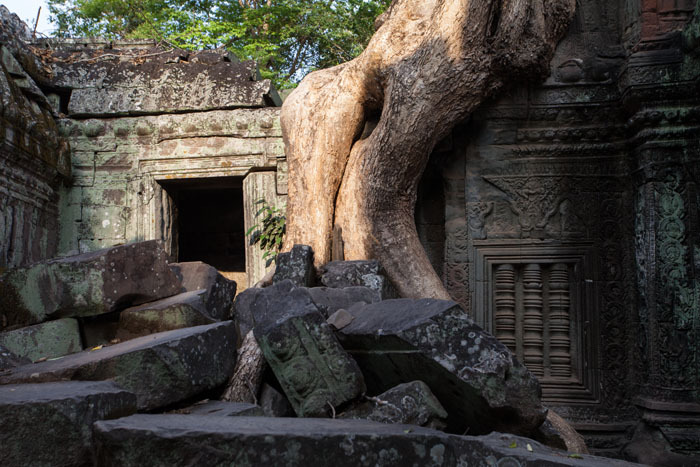 We spent two full days visiting the temples, including the temple of Ta Prohm, which was made famous by Angelina Jolie and the movie Tomb Raider. Of the temples we visited, Ta Prohm was my favorite because the jungle has tried to reclaim it. Giant trees grow over the ruins, hugging the stones. 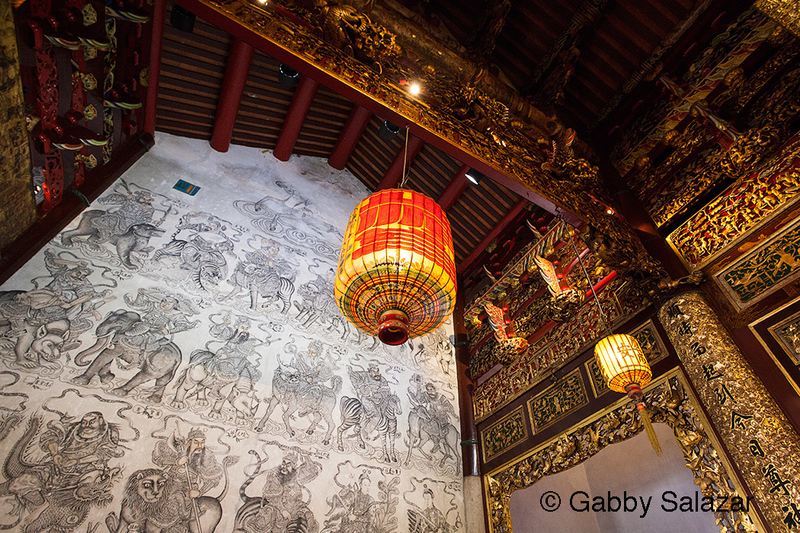 In all of the temples, now World Heritage Sites, you can wander freely, exploring the small hallways and crevices. 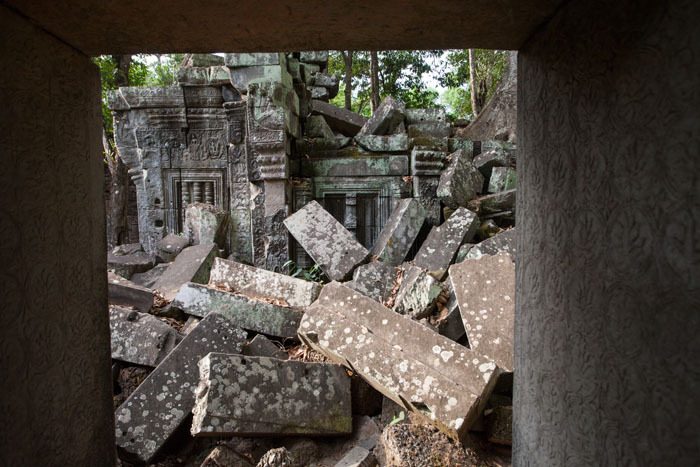 In the early morning, before there were other tourists, I could almost imagine what it would have been like to stumble upon the ruins in the jungle and to explore them for the first time. I will make a separate post on the natural history of the area, but it is also worth sharing some photos from the other cultural sites we visited. 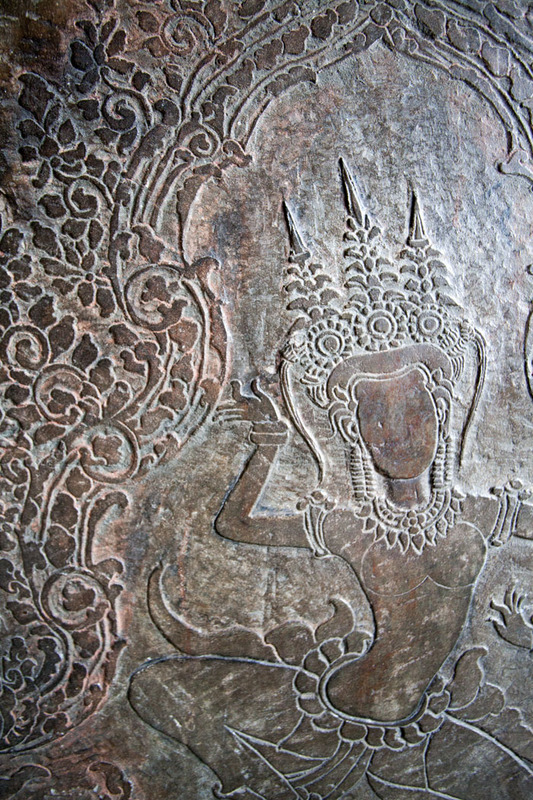 Cambodia is primarily a buddhist country in the present day, but Hinduism predominated in previous centuries (In fact, the kings of Cambodia alternated between Buddhism and Hinduism and the people had to follow suit). This blend of religions is reflected in the architecture of the country – where you can find Buddha and Shiva in the same temple. 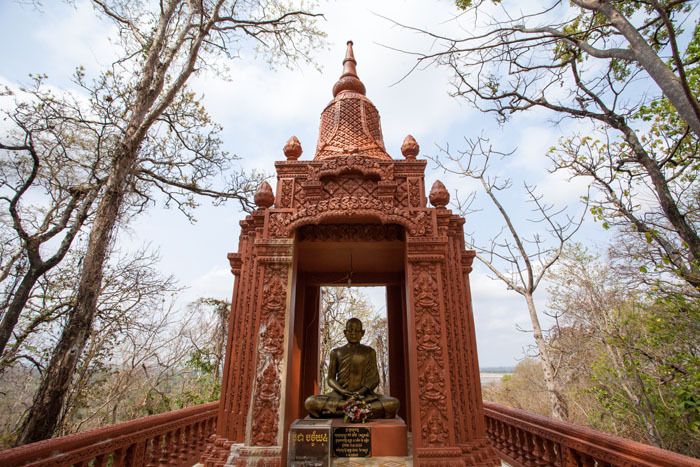 Near the town of Kratie, a city along the Mekong River, we visited two Buddhist pagodas. 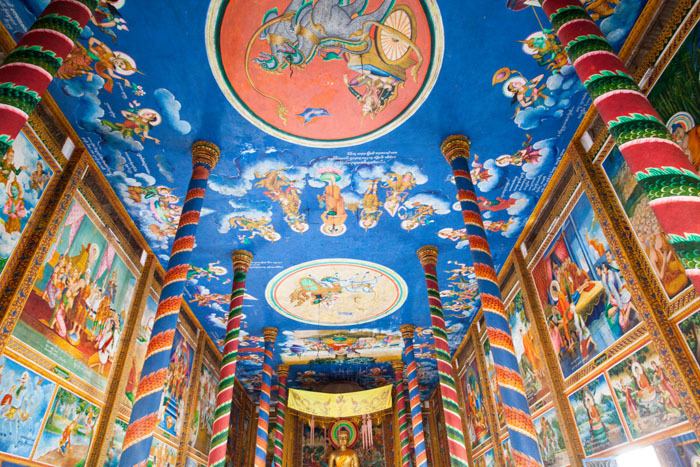 Although the houses in Cambodia are very simple, the pagodas, which pop up every few miles, are incredibly ornate. 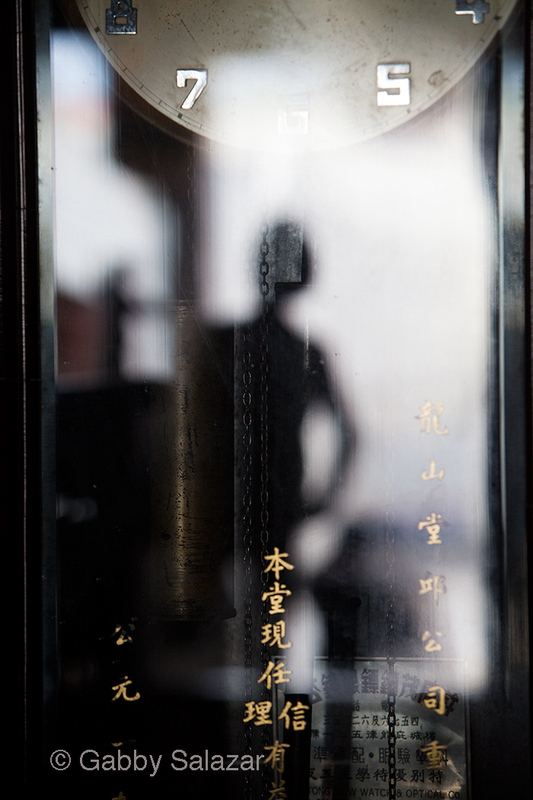 We visited the 100 Pillar Pagoda and learned the history of how and why it was built. Long story short, the queen was eaten by a crocodile, the king killed the crocodile, and then built the temple to protect the bones of the queen. Our guide also informed us that a young virgin was buried under each of the temple’s 100 pillars – but, don’t worry, they all “volunteered” and sacrificed themselves in order to protect the queen. That detail sure made me feel better. Small side temple at 100 Pillars Pagoda, with a shrine to the late Prince Sihanouk. will write more about this later, but I think it is important to note that Buddhism and all religions were banned during the reign of the Khmer Rouge. 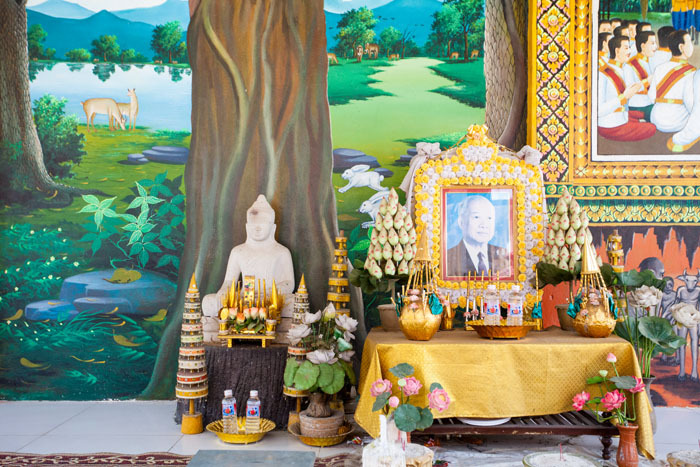 Most of the buddhist monks were massacred as the Khmer Rouge attempted to eliminate all intellectuals, all ties to Cambodian culture and all familial bonds. 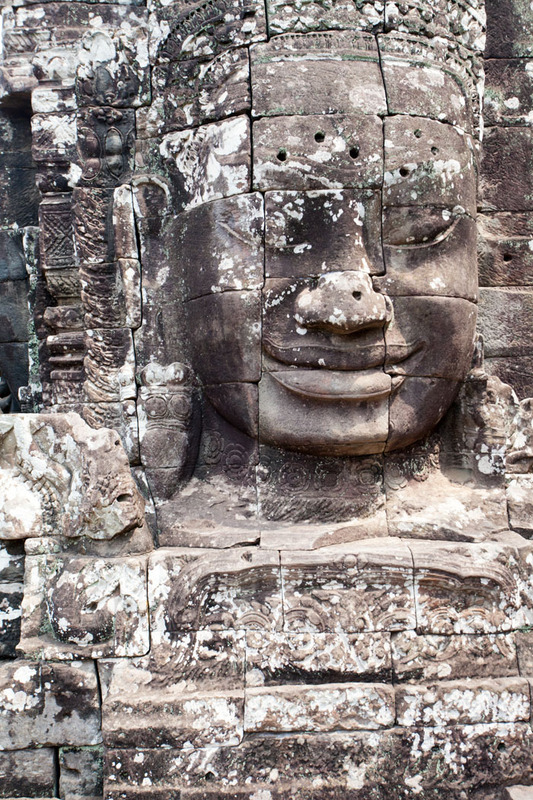 For me, the trip to Cambodia was both incredible and emotionally difficult. Behind the great beauty of the country is a terrible tragedy and it is so recent that reminders of the war and the genocide are ever present. If you are interested in learning more about this period, I would highly recommend two books: “When the War was Over: Cambodia and the Khmer Rouge Revolution” and “In the Shadow of the Banyan Tree” by Vaddey Ratner. We got up at 2am to continue the hike to the Summit. While we only had 2.7 kilometers left to the top, it would be in the dark, so our guide wanted to give us plenty of time. In the dining hall, we ate what had been termed “supper” before setting off. 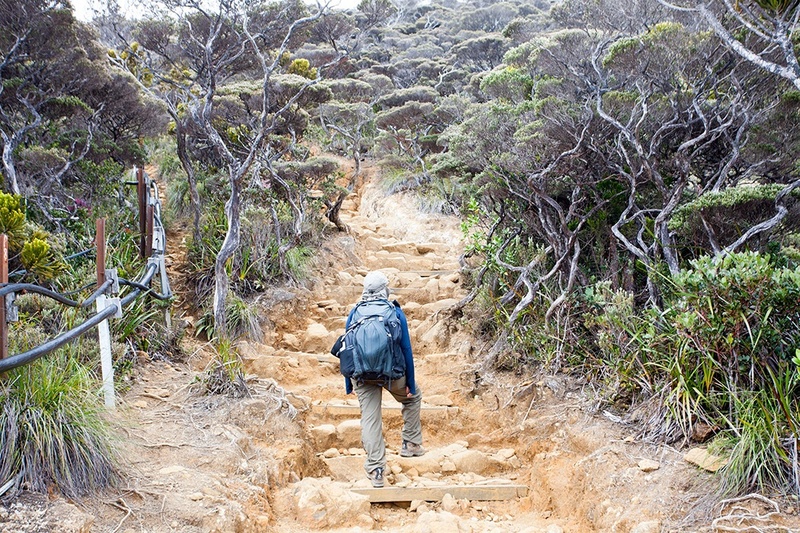 The first part of the trail was essentially a long staircase, winding its way up a steep slope. We went in a single file line and I was grateful for the slow pace of those in front of me, allowing me to catch my breath. After about a kilometer, the trail shifted to “the rope” and we began pulling ourselves up along a smooth rock face, using a thick line to guide our path and to balance our steps. At a few steep points, Rick and I were concerned about his ability to make it back on the same path. He has a touch of vertigo when it comes to heights and the darkness made the trail look menacing. Although I generally gravitate toward solo wilderness experiences, there was something nice about hiking up in the dark with dozens of strangers, all bent on the same destination. In a time when we frequently lament the lack of human communion with nature, it is nice to be reminded that there are others who want to be outside. The trail eventually flattened out and we began the race to the top, trying to make it to Low’s Peak (4,095 meters) before the dawn. 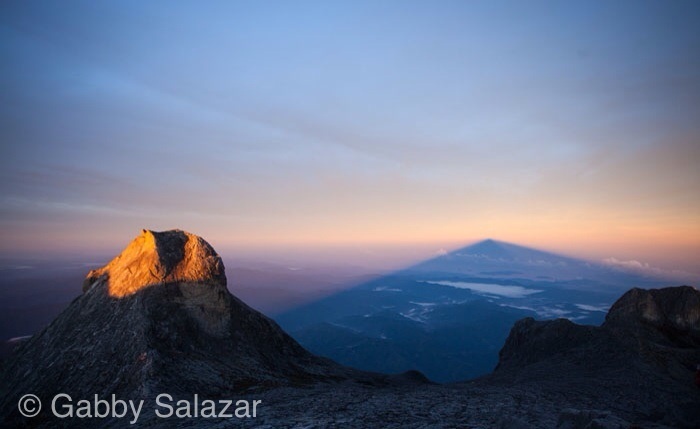 We could see faint lights on the summit, the headlamps of those who had dashed ahead to the peak, undaunted by the irregular trail and high altitude headiness. The sky began to lighten just as we made the final scramble. I pulled myself up a little farther and was able to see down into the valley. 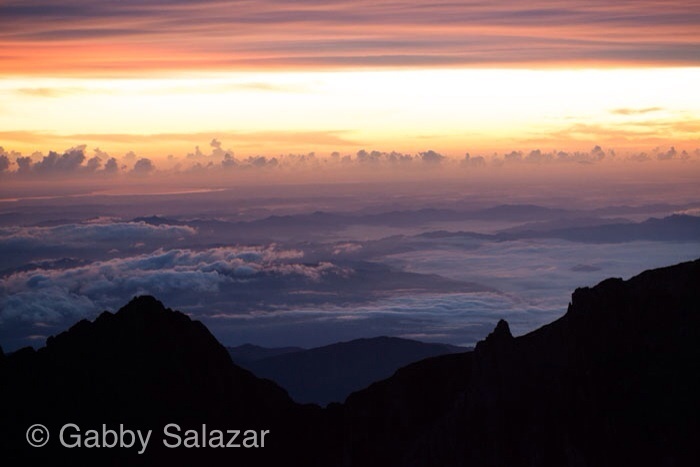 The sky was clear and the valley below was filled with clouds in shades of magenta, blue, and gold. 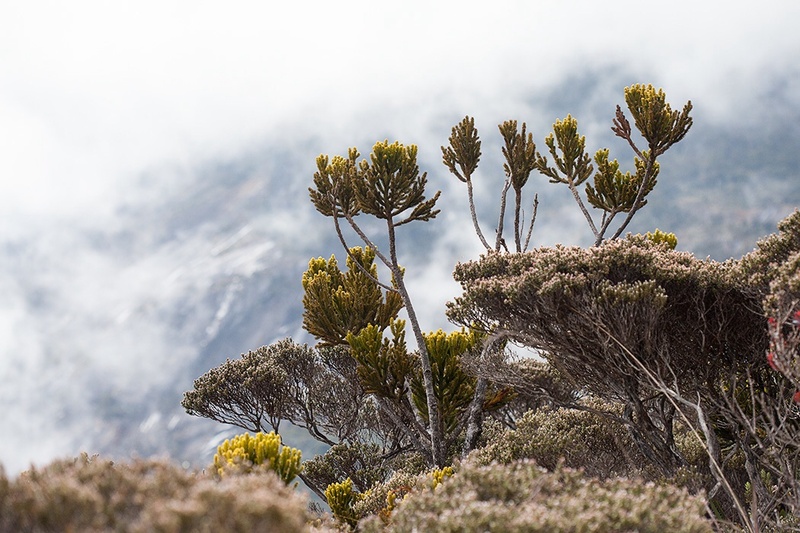 Around me, I heard the other hikers murmuring their amazement in their respective languages – from French to Japanese to Russian – I understood what they were saying by the tone of their voices. 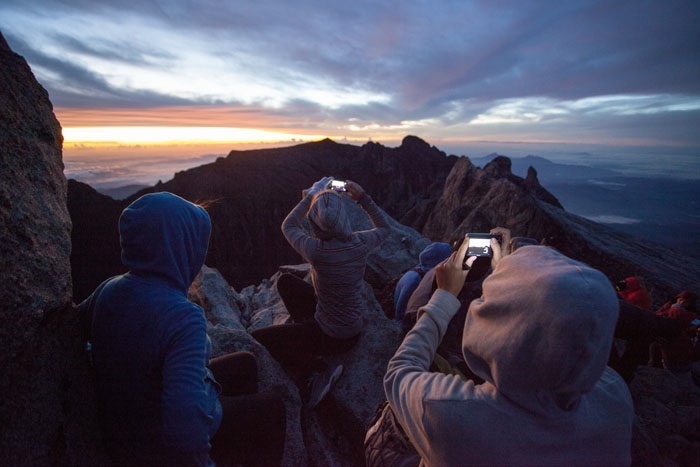 Climbers photograph sunrise from the peak. What followed was one of the most spectacular lightshows I have ever witnessed. The 8.5 kilometer return hike was considerably less romantic. After the high of summiting wore off, exhaustion began to take over. We made our way down slowly, stopping for a second breakfast at the lodge. By kilometer six, I was focused on putting one foot in front of the other and was largely unaware of my surroundings. Despite spending hours outside each day since arriving in Southeast Asia, my fitness was still challenged by the arduous downhill climb. We arrived at the bottom at around 3pm, filled with a sense of relief and a sense of accomplishment. I ate the largest plate of spaghetti I have ever consumed and collapsed onto my bed, spent and smiling. 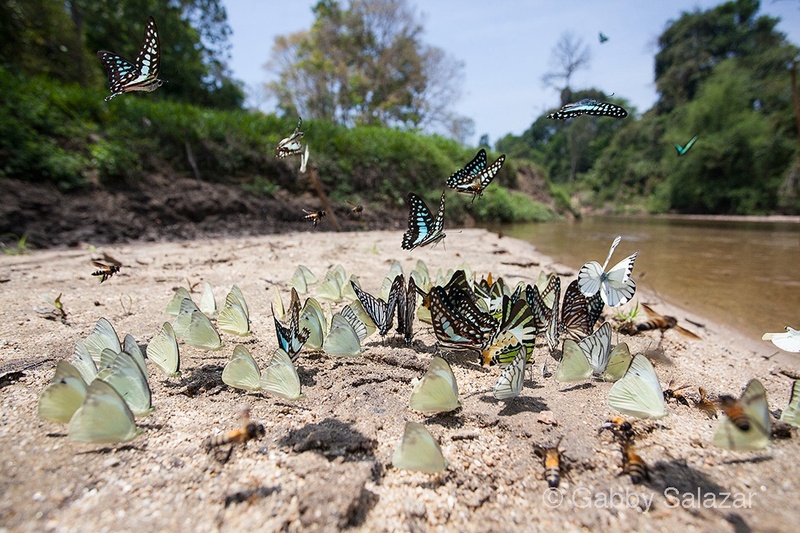 Butterflies gather on the bank of the Muda River. After nearly two months of drought, the sky has opened up. The rain started after our morning hike yesterday and has continued to come down. The semi-deciduous forest is covered with fallen leaves, reminiscent of the New England fall. Today, their dry crackle has disappeared, the wetness hushing our footfalls. On our hike this morning, the forest has been transformed. The many shades of green have grown richer and the air is heavy with moisture. We walk along an old logging road, overgrown since the forest has been better protected. In some places, the buttress roots have created small road blocks in the trail, forcing us to crawl and climb. Our destination for the morning is a tree. I like big trees so I agree to the excursion, confident that the walk will yield many things of interest. After about an hour, we arrive on a ridge and our guide points down to a clearing. Below us (and above us) is a towering tree, made unique by the manmade structure attached to its side. 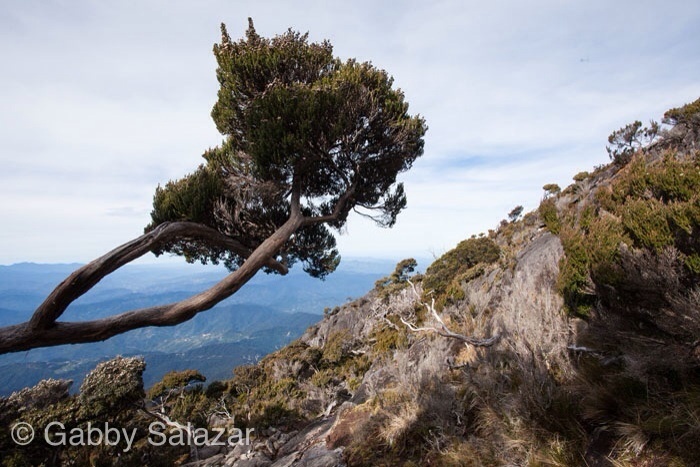 The tree, called the tualang tree, is used by local men to collect honey. And, sure enough, we can spot three giant beehives hanging on the underside of branches. 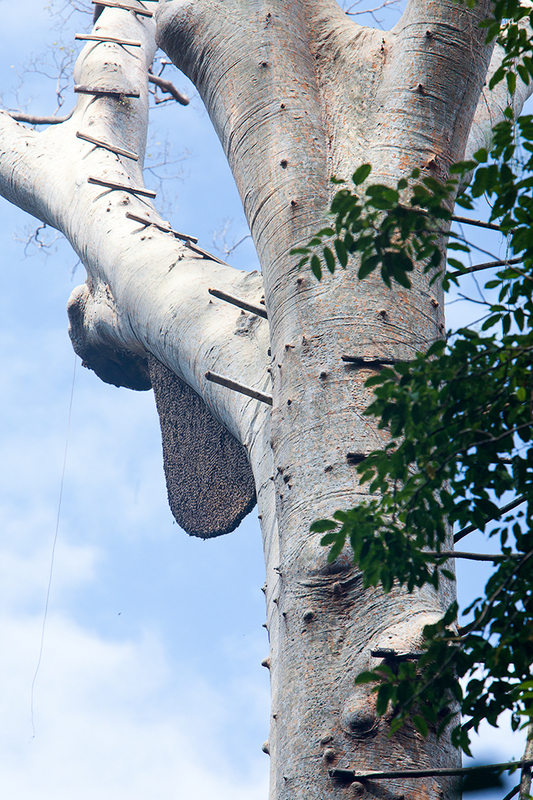 Although the honey will not be collected for a month or two, the men have already visited to put their climbing system in place – a ladder snakes up the trunk and small rungs are built out into the crown. I estimate that the tree is 180 feet tall, and the rungs reach almost to the top, allowing men to access hives at the outer edges. Our guide explains that 20 men will come to the tree at harvest time. The bravest men will climb up at night when the bees are hovering outside of the hive. Using embers from a fire, they will distract the bees and harvest the honey. Each small bottle will sell for around 60RM ($20.00). 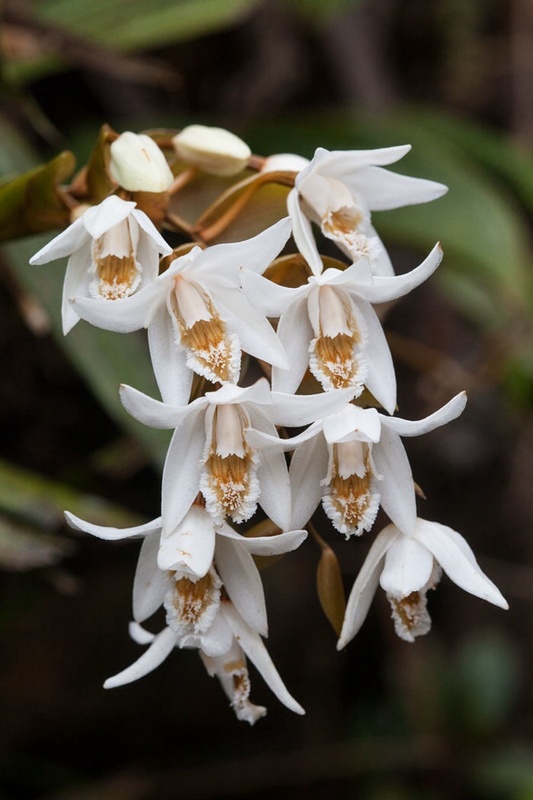 The bees pick these trees because they are difficult for the sun bear to climb – apparently they had not counted on men. 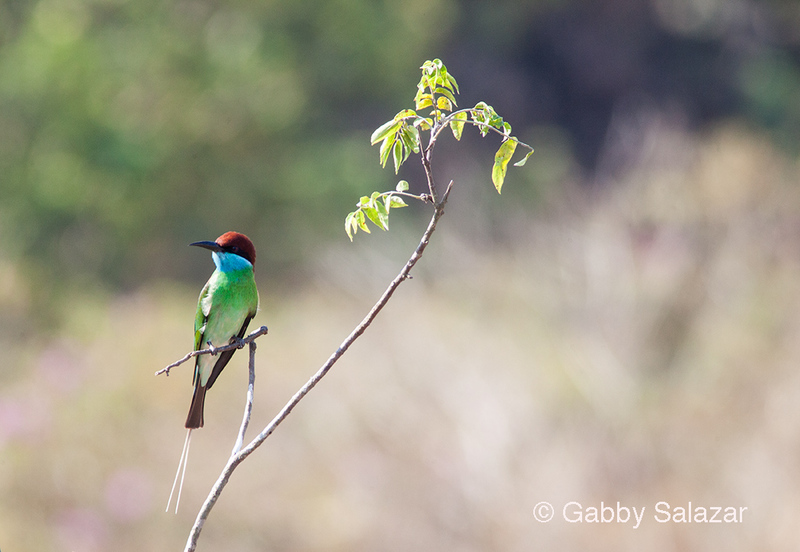 We hike back to the boat on the same trail, stopping along the way to observe gliding lizards and to watch a red-bearded bee-eater swoop from tree to tree. We arrive back at the lodge just as the rain stars to fall, so we decide to stay close to home for the afternoon. We sit on our porch and venture out each time the rain stops. On one such excursion, we find a giant millipede, around 18 inches long. 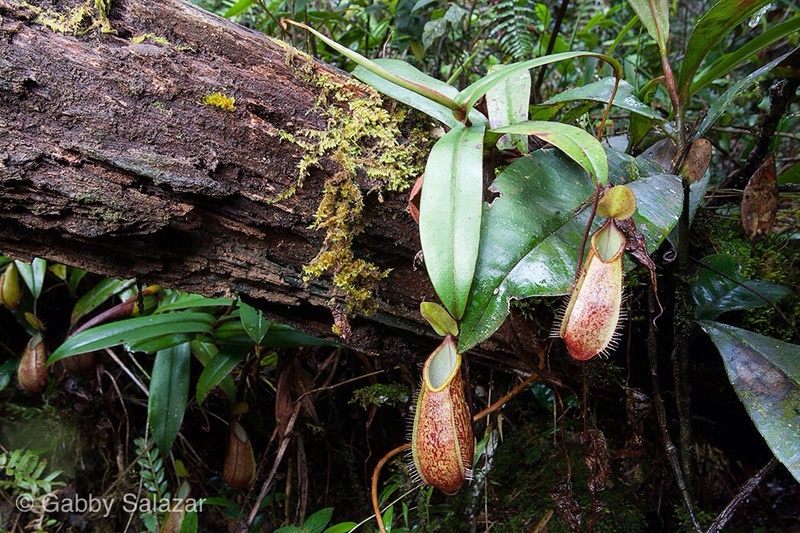 It grazes on the bark of a mossy tree, the segments of its body rippling with each small movement. 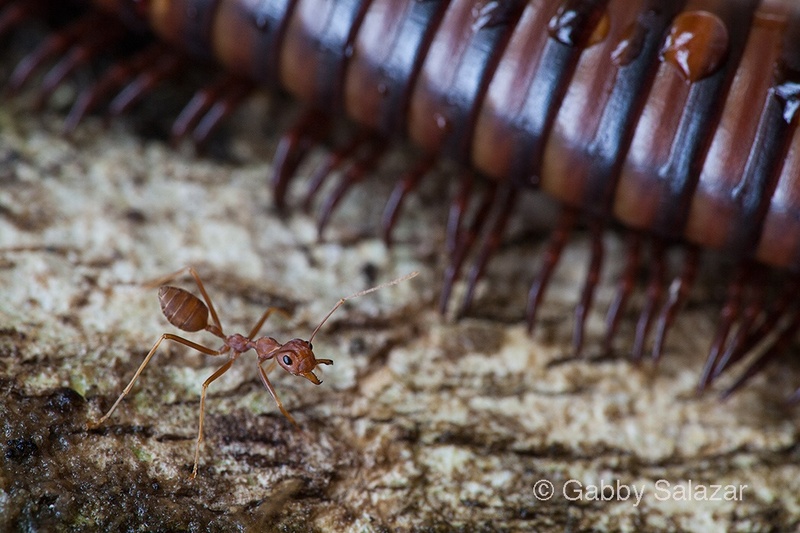 Ant sitting next to a giant millipede, Ulu Muda, Malaysia. Near dusk, Rick notices a cloud of winged termites emerging just across the clearing. They fly into the air, drifting upward in a line. It does not take long for the birds to notice them as well. 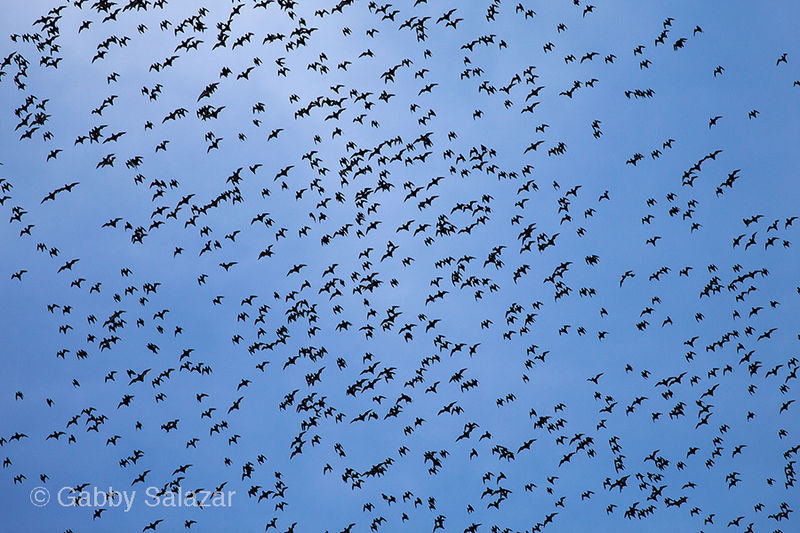 In minutes, a volley of birds shoots across the sky, tumbling and diving in an effort to catch the flying insects. At one point, two racket-tailed drongos join the melee, their elegant forms silhouetted against the white sky. Their long tail feathers stream behind them, following like small kites. Of the cloud of termites, only a few make it through the gauntlet. After the emergence stops, I continue to walk around the grounds of the station. 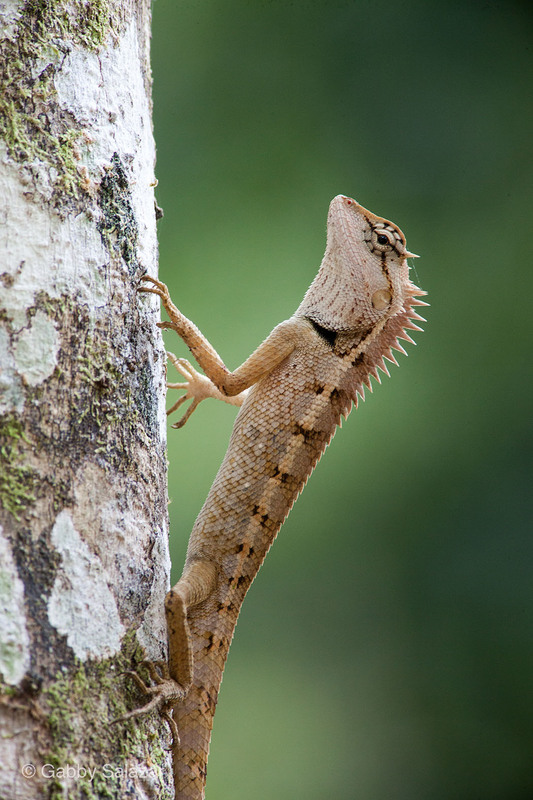 A crested forest lizard bobs its head in a display of dominance as I approach its tree. Mist settles into the clearing. At the last, I can just make out a lone macaque he steadily climbs the branches of the tallest tree, resting in the crown. From below, I envy him the view, looking down on the river, swollen with the day’s rain. 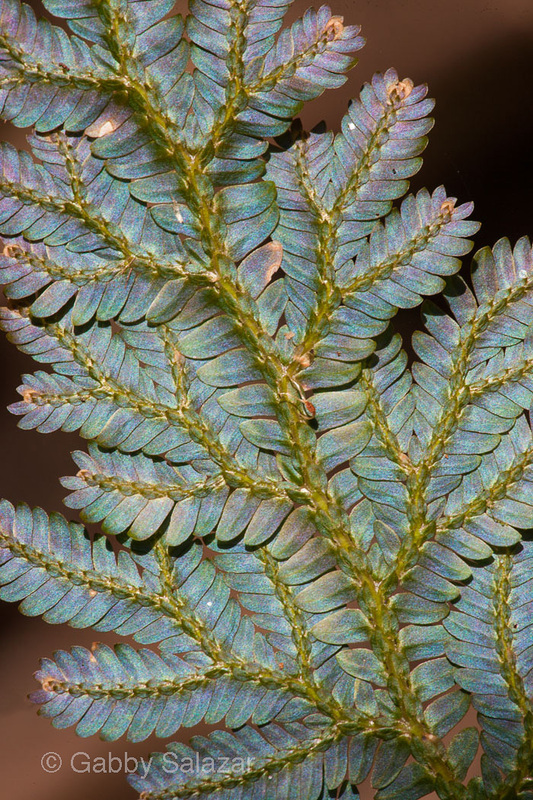 Tropical fern in the Genus Selaginella. Notice the slight iridescence. Hymeir, one of the owners of Earth Lodge, rides a boat down the Muda river for a sunset cruise. For the past week, we have been in Ulu Muda, a forest reserve in northwestern Malaysia that is managed by the State Government of Kedah. We stayed at Earth Lodge (http://earthlodgemalaysia.com/about/ulu-muda/), a small camp along the Muda River that is owned by a man named Hymeir and his partner. To get to the lodge, we traveled upriver for about two hours from the local jetty. We spent our days hiking in the forest and could usually be found cruising the river in a boat at dawn and at dusk. On those rides, we were hoping to catch a glimpse of the rare Asiatic elephants that live in the forest. 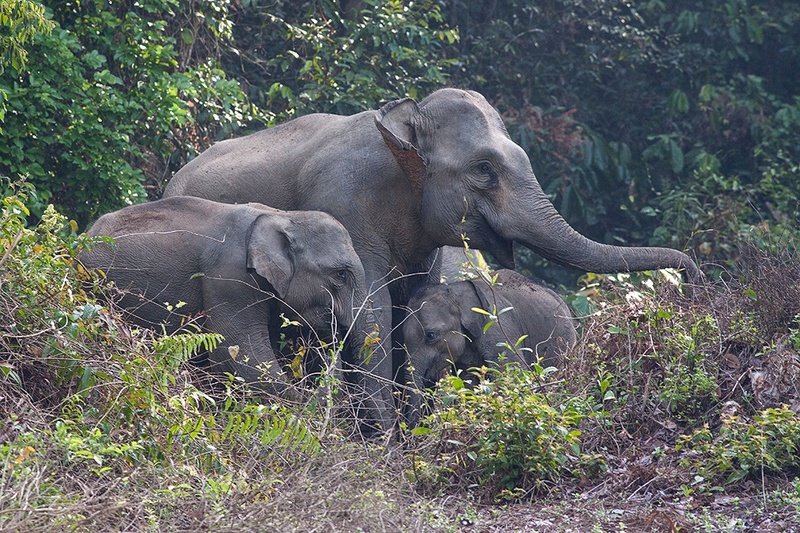 Ulu Muda is the first location we have visited in Southeast Asia where it is still possible to see Asiatic elephants in the wild. It was not until this morning, on our 8th and final day, that we spotted the giant creatures. We were lucky enough to observe a mother, father, and two calves as they came down to the river. 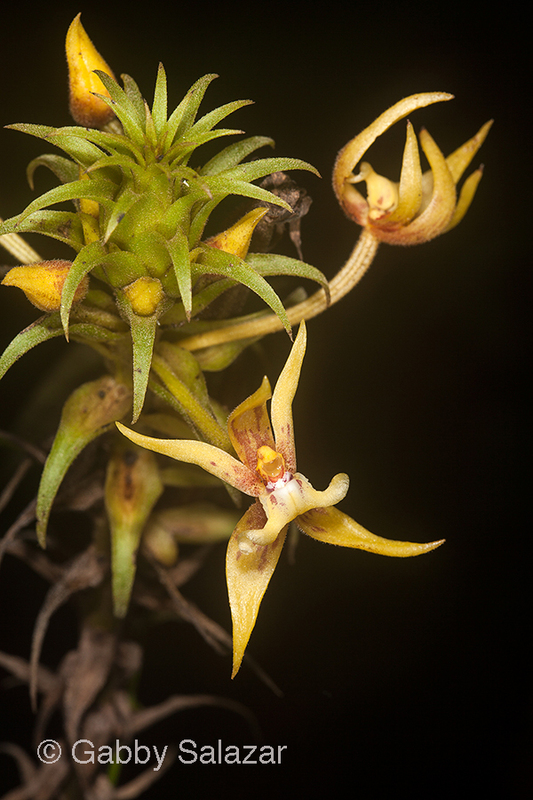 Hymeir estimates that there are around 100 individuals left in Ulu Muda, a reserve of over 160,000 hectares. Asiatic elephants on the bank of the Muda River. 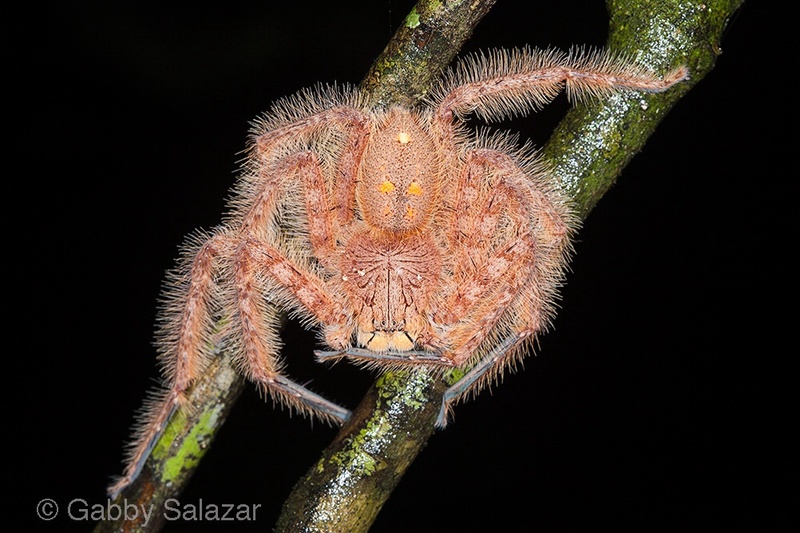 Amazing spider found on night walk, Ulu Muda, Malaysia. 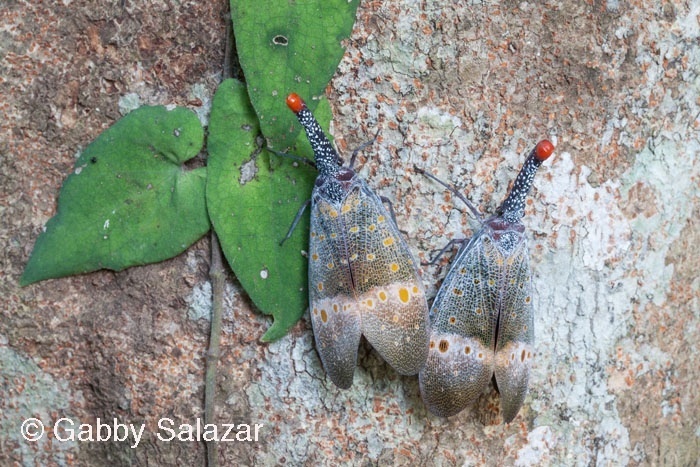 Lantern bugs (Family: Fulgoridae) rest on the bark of a tree. 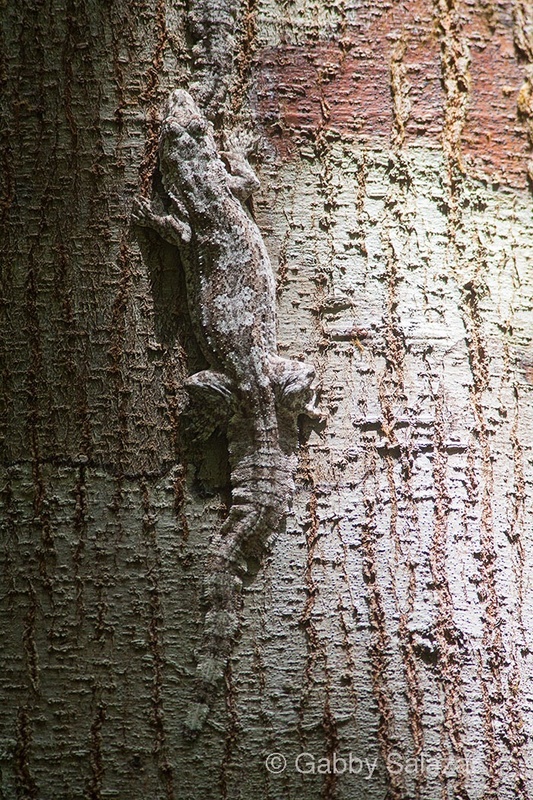 Gliding gecko on tree bark during the day, Ulu Muda, Malaysia.